Sailing in from the open sea, one first comes across the Herceg Novi bay but with Mt Orjen (1895m) above it, than through the Kumbor straits to the lofty Tivat bay.Through Verige, the narrowest point of the Gulf, one sees the bay of Risan to the north and the long bay of Kotor to the south, both surrounded with lofty mountains and ending with the historic town of Kotor, nested directly below the steeps inside of Mt.Lovćen (1749m). The gulf is often mistakenly considered to be a fjord but is in fact a river bed which sank when the sea level rose in the distant geological past. The magnificent and unique natural beauty of Boka Kotorska doesn’t allow one stay indifferent and the exclamation of poet Ljuba Nenadović “and I wonder of the sun, how it can set, when a beauty such as this nowhere will be met” reflects precisely to kind of sentiment one takes with him. Small towns with baroque mansions erected by sea captains and villages with stone houses dot the sides of the bay. The lush greenery of cypresses, olive or lemon trees and variety of other Mediterranean flora along the coast stand in stark contrast to the forbiddingly bare sides of the mountains to the rear, rich in caves and various karst formations. To the surprise of many, the Gulf of Kotor is one of the rainiest regions in Europe, with a village of Crkvice above Risan holding the record with annual average of 5317mm of rainfall per square meter. This is due to the fact that warm sea air cools off abruptly as it climbs the vertical sides of the mountains surrounding Boka. The same mountains shelter most of the Gulf from the sun and create a climate and vegetation in many aspects different to the rest of the coastline. 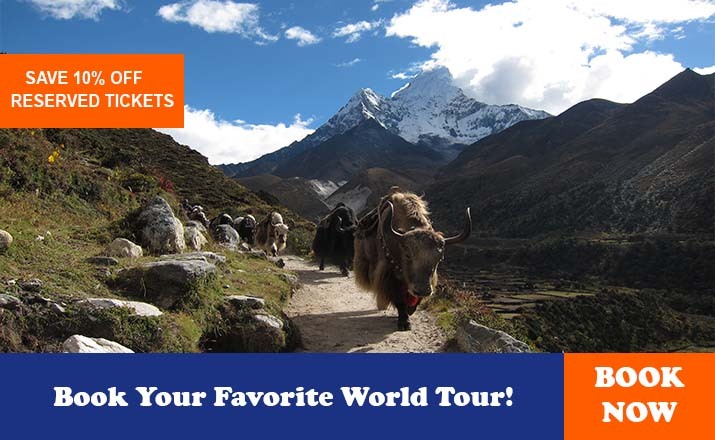 On a sunny winter’s day one can enjoy the mild climate of the coast and then make an excursion to the show covered mountains surrounding the Gulf. 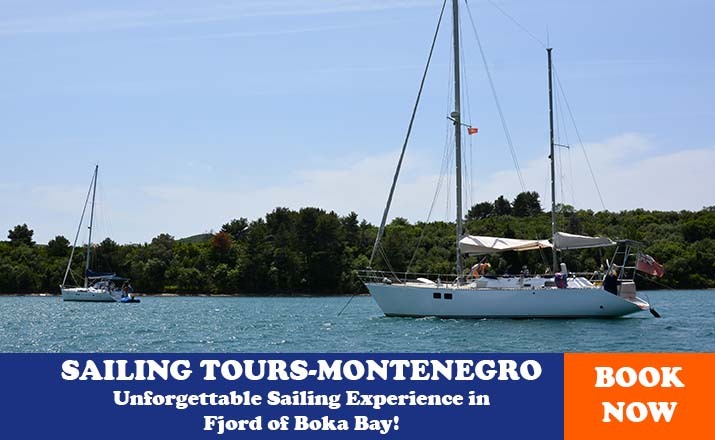 The whole of Boka is one huge harbor sheltered from the strong winds with ideal conditions for sailing. It is therefore no wonder that inhabitants (the Bokelji, as they are called) have always been noted for their nautical skills and that in the era of sailing ships they roamed of peace and fighting against the Muslims in the times of war. Until recently the only thing connecting the villages of the Gulf was the sea , and also it was their only connection to the other world. Today a road circulates around the Gulf but to fully enjoy its wonders one should embark on a boat trip. Boka had a turbulent history. In ancient times it was called Sinus Rhisonicus-the Bay of Risan, after the largest town, formerly the seat of its largest town, formerly the seat of Illyrian kings and their Slavic princedoms of the Middle Ages which were not of a seafaring nature its waters presented the border between Travunija in the north of Duklja in the south. The first to region nautical glory were the mariners of Kotor during the times of Nemanjić Serbia as they amassed great wealth through trade and adorned their town with palaces and churches. Facing the Turks threat the townships of the Gulf embraced Venetian rule and after several wars between these two world powers Boka was divided into half, exactly as it was in the early Middle Ages. In 1689 the Turks were driven away and Boka lived its hay day with many of its township gaining prosperity through their skilful sailors- Perast, Prčanj, Dobrota, Topla, Orahovac, Herceg Novi, Morinj-all of these places had substantial fleets and gave many famous captains such as Matija Zmajević, the admiral of the Russian Baltic fleet, or Ivo Visin, the first captain of Austro-Hungary to sail around the world. From their journeys these men brought exotic plant species, oriental treasures and the air of the world travelers to the Gulf but never lost the love for their native region, their language and customs. These feelings came to life after the fall of the Venetian Republic when Boka changed hands several times between the Austrians, French, Russians and the English but the Bokelji (people from Boka) tried to unite when their brethren from Montenegro on two different occasions . Boka was awarded to Austria who quickly started developing its potential as a natural harbour and turned it into the main base for its war fleet. Since 1918 Boka is united with Montenegro with whom it shares many similarities but is also very different in many aspects. Although fierce warriors on their unbeatable ships, the Bokelji (people from Boka) also grew to be refined and gentle in comparison with the roughness of the highlanders and to more inclined towards the Mediterranean and to be more inclined towards the Mediterranean and Italy, canzone and pastas. A mix of Orthodox and Catholic who have lived here peacefully for centuries adds to the variety of customs and traditions of the region celebrated through the carnivals of Kotor, religious ceremonies of Perast or the Mimosa festival of Herceg Novi. The beginnings of Kotor are covered in darkness. The earliest settlement was probably in Špiljari in a well sheltered gap behind the Fortress, where the remains of a prehistoric settlement are and from where the remains of a prehistoric settlement are and from where men could descent to the sea to fish or to hunt in a woods above. Their hideout in case of an attack at the top of the hill (today occupied by the Forst of Sveti Ivan) was later fortified by the Illyrians. In Roman times a settlement called Acruvium is mentioned and traditional claims it to be the predecessor of Kotor, but this town probably lay on a more fertile area to the south. The present day location of the town is in consequence to the era of instability, during the time of barbaric onslaughts when good protection was the most important prerogative for survival: the residents of Roman Acruvium took shelter on a small patch of land, hidden at the end of the deep Gulf , protected on one side by the sea, on the older by an inaccessible hill, from the north by river Škriuda and from the south by the Gurdić spring. These four natural barriers amongst which the town developed were to remains its limits until the 19th century, the turtle’s shell to which it would retreat in times of danger during its turbulent history. Kotor was mentioned first as Dekaderon in 670 when it was already a bishop’s seat. In this early phase the town was sacked by the Saracens in 867 and by the Bulgarians 1002 but it managed to rise and become again an important administrative and trading spot on the Adriatic under Byzantine protection. In 1186 it become a part of the Serbian state of Nemanjićs and thus its most prosperous era begun.The town’s aristocracy which was of Roman decent continued to rule over all of the town’s internal matters while its merchants received a guaranteed market with Kotor becoming the most important trading port of Serbia. From Kotor Romanesque and Ghotic art spread into Serbia but the town also absorbed influences from the east and its art remained a blend of Byzantine and western influences.The 14th century was the golden age of Kotor when its merchants stood shoulder to shoulder with those of its largest competitor- Dubrovnik. 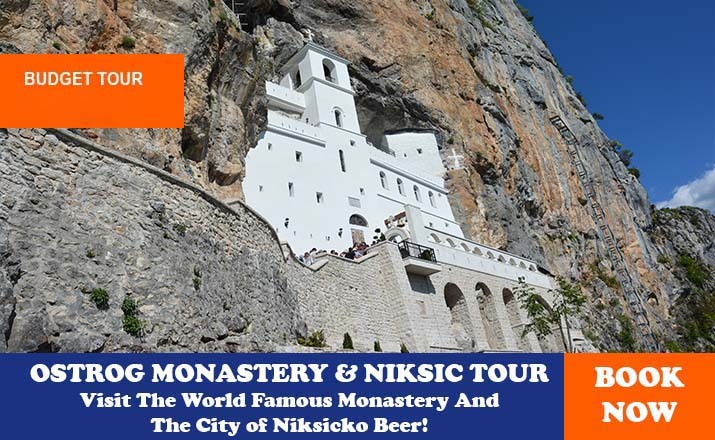 The aristocracy secured all the power in its hands and built gothic palaces , becoming the treasures of the Serbian state and financiers of mines while its educated Franciscan monks built the most magnificent royal monasteries for the Nemanjićs. When in 1371 the dynasty ended and barons started quarreling Kotor was faced with a crisis: trade was crippled by many internal borders, the Dubrovnik fleet threatened the town and the armies of local barons stood in front of its walls demanding taxes and pledges off allegiance. The town tried to find protection and changing several masters until in 1420 it agreed to accept Venetian rule.This arrangement had a mutual benefit and as neighboring lands fell into the hands of the Ottomans, Kotor stood sheltered by its thoroughly long walls. In the 16th and 17th centuries its walls gave home to a number of renaissance artists while successfully fighting off Turkish attacks from land and the sea. Much more damage to the town was made by the earthquakes of the 1563 and 1667 which tore down its old palaces, and by several plagues that wiped out many noble families. When all of Boka Kotorska was freed from Turkish danger at the end of the 17th century Kotor was faced with much fiercer competition of other communes and lost its trading importance remaining only and administrative and religious centre for the Gulf. 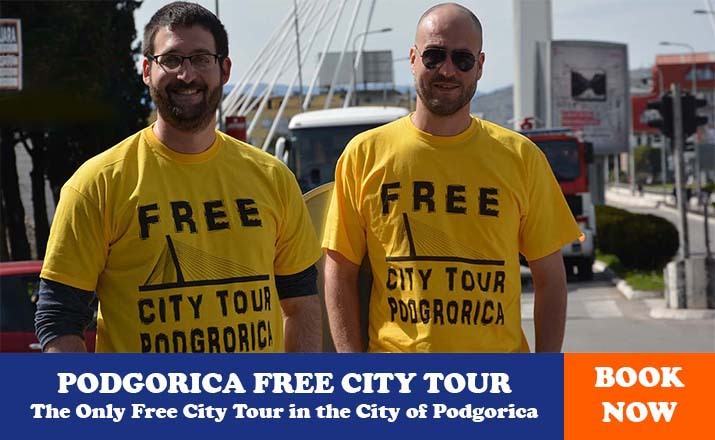 It was also the closest town to Montenegro, the place from where Venetians communicated with the inland, sending money to spread their influence and spies to gather information. By now Latin become reduced to the language of administration and science and when the Venetian republic was abolished by Napoleon the local Catholic and Orthodox felt the moment was right to unite with their brethren in Montenegro, as was decided in 1813 in Dobrota, today a suburb of Kotor. In the 20th century the antiquities of Kotor attracted more and more attention from scientists and tourists alike. When the devastating earthquake hit the town in 1979 this only cleared the road for a through reconstruction of its Old Town which now enjoys all the amenities of the modern age while not losing its ancient looks. The town tripled is populace which spilled outside its walls, forming new suburbs and embracing the neighboring communes. Today visitors see the most common entrance to Kotor’s Old Town but only two hundred years ago this gate could be approached only on a ship as the whole of the waterfront didn’t exist. The current gate was opened to the north of the old one which sank into the sea in the 537 earthquake. After the successful defense against Hayredthedin Barbarossa the Sea Gate got its renaissance decoration in 1555 under the provost Bernardo Reiner ( note the initials BR and year in Roman numerals). The gate was vandalized after the communists took over in 1945 when the Venetian lion of St Mark was replaced with a five-pointed star and the date of the liberation of Kotor, furthermore the Habsburg coat-of-arms was replaced with the one of socialist Yugoslavia. Inside the gate is a late 15th relief of the Virgin Mary flanked with the town’s patron –St Tryphon (always shown with a model of Kotor in his hands) and St Bernardino of Siena. 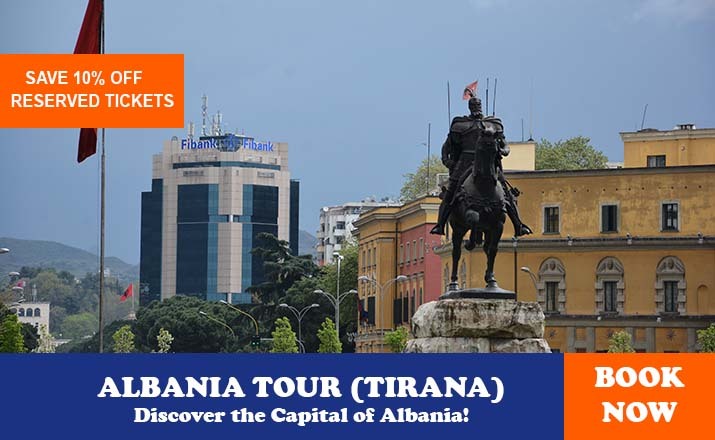 Facing it is an inspiration in Latin celebrating the Turkish defeat of 1657.On the other side of the fortifications, to the left of the gate is small park with a cafe and to the right the town’s picturesque green market, with a variety of fresh products brought in every day. The largest of Kotor’s squares is also social center where most events happen. Its size and an unusual L-shape are due to the clearing of several old buildings and a church during the Fresh occupation. The focal point of the square is the Clock Tower built in 1602 on the site of the medieval torture tower, while the clock was added in the late 18th century. The ornate obelisk in front of it served as a pillory. The whole west side of the square is taken by the Prvost’s Palace built after the 1667 earthquake in which the old one crumbled. The main decorative element of its 60 m long facade is balcony of almost the same length. The palace is adjoined by the Guards Tower. On its other side is the so-called Old Town Hall given this name due to its function in late 19th and early 20th century when its neo-renaissance facade was constructed. It is also known as napoleon’s Theatre, as it was adapted by the French in 1810 to become the first theatre hall in Kotor. Across the small passage is the building of the old Arsenal where weapons for the town’s garrison and fleet were kept and after which the square was named. Later on it housed the military bakery. The edifice got its present day look after the 1979 earthquake. The passage between the Theatre and the Arsenal gives way to the Citadel, the strongest part of Kotor’s ramparts, and to the round Kampana Tower. In the street starting at the south side of the square and leading Flour Square at your right you will notice the splendid stone portal in the late Venetian gothic style. The portal features the arms on the Bizanti family, one of the most important patrician families in Kotor from 14th to 18th century. The small square takes its name from the flour storehouse that stood here. Its main sight is the Pima Palace, built after the 1667 earthquake. Though baroque in conception and with a 16 m long balcony on the stylish consoles, it also has renaissance features such as the first floor terrace standing on two archivolts and decorated with family coat-of-arms. The Pima family was one of the oldest and most notable in Kotor producing several poets during the renaissance and baroque ages. However, the most important family in the city for two centuries were Bućas, who gave several treasures of state to 14th century. Serbia and whose gothic palace stood facing the Pima Palace. In time the Bućas became poorer and after the 1667 earthquake could not rebuild their home and instead had to split it into three separate homes, the way it still stands today. The cathedral church of Kotor is the most important monument in the whole of Boka Kotorska and one of the most important cathedrals in the East Adriatic. The first church dedicated to St Tryphon, a 3rd century martyr from Phrygia in Asia Minor, was built here in 809 to host his relics, obtained by Kotor merchants from Constantinople. In time, the cult of the saint grew has become the patron saint of the town and his church the seat of the bishop. The old church was replaced in 1224-66 by the current one. It was built in a mix of byzantine and Romanesque styles, with a dome, two high bell towers and terrace between them, inspired by similar edifices in Puglia (Italy) where the seat of the archbishop was. After the damage inflicted to it in the 1563 earthquake, the shaken dome was torn down. The large earthquake of 1667 destroyed completely the Romanesque bell towers and the west face which was consequently rebuilt in a baroque style, but following the old design. This was the last major modification of the church as the last earthquake of 1979 provided an opportunity for detailed restoration of the cathedral, uncovering many of the features buried in oblivion during the eight and half centuries of its existence. The west face from the late 17th century is unique in its architectural mix of renaissance and baroque, with reminiscences of the Romanesque in details such as the rose window. Another notable feature of its exterior is a three-bay window on the cathedral’s apse, work of local masons in a Romanesque-Gothic style from the mid 14th century. Almost identically designed windows are to be found on the apses of the Studenica and Dečani monasteries ( in Serbia) that were built by some masters. The south door is a neo-Romanesque addition from late 19th century. The interior of the church reveals the origin three-nave disposition. The columns between the nave and the aisles are on different origin and built of the different materials, some with Corinthian capitols taken from Roman ruins. On some of the columns as well as in the apse you can see the remnants of frescoes done in the mid 14th century in the Serbian-Byzantine fashion. The prime feature of the interior is the altar canopy (ciborium) from 1362 again in a transitional Romanesque-Ghotic style. The four columns of red stone bear the architrave on which are carved scenes from the life of St Tryphon. Above it rises a crown on three levels each of which is held by small columns and figures of angels, Roman soldiers and citizens. Behind the canopy is the gilded silver polyptych from 1440 representing Christ, St Tryphon and 16 other saints, the work of local goldsmiths under the guidance of master Johannes of Basel. Around the high altar are four smaller ones from the baroque era decorated lavishly with marble, silver and gold. In the south aisle is the tomb of Bishop Tripun Bizanti (died 1532) with his effigy. To the left of the high altar is a door leading to the sacristy with chalices pastoral crosses, monstrances and pre-romanesque reliefs from the ciborium of the 9th century church. Above this is reliquarium all in white marble, built in 1704-08 from the designs of Francesco Cabianca in Venice. Its main feature is the marble sarcophagus held by kneeling angels and topped by the praying figure of St Tryphon. In the sarcophagus is in the silver casket containing the relics of the saint with the scenes of his martyrdom, a Venetian work from 17th century. Beside the casket the sarcophagus contains the golden reliquary in Gothic style with the saint’s head and a crystal cross (16th century). The other 50 reliquaries here are placed in closets around the room. In the middle of the room hangs a large wooden crucifix in Gothic style. The paintings here include works of local artist such as the Gothic master Lovro Dobričević ( “Mary and Jesus”) and Tripo Kokolja ( “ Ecstasy of St Francis”) as well as of the Italians Girolamo Santacroce (“St Bartholomew”), Bassano (“Crucifixion”), Giusepe Diamanti, Sassoferatto and two works of Tician’s school (“Three Kings” and the “Finding of the Holy Cross”) and Michael Nordlinger. In the end you will also see a cross used to bless the army of Jan Sobieski before its decisive victory over the Turks at the gates of Vienna in 1683. Adjoining the cathedral to the left is the Bishop’s Palace with its airy courtyard. This edifice was endowed in 1327 by Jelena Drago to the bishop of Kotor . To its left is Drago Palace which is of an “L” shape. The façade facing the square is narrow and has modest renaissance baroque decoration from the end of the 17th century. To the right of this protruding wing is the passage through the palace decorated with family coats-of-arms displaying a dragon, an early renaissance window with an angel and a splendid two-bay window. The north face of the palace remains the best preserved with its several gothic windows. Today the palace houses the regional institute for the protection of monuments. On the north, Kotor town walls are additionally strengthened by river Škudra, which springs from the rocks and after a few hundred meters flows into the sea. It branches in two streams forming a river island previously known as the Montenegrin Market, where the highlanders would come to trade their cheese, skins and meat for gunpowder, textiles or simply grain. This was the furthest point to which they could bear arms, their most valuable possession, to enter Kotor they had to turn them over to the guards of the gate. The stone bridge and the gate to which it leads where built in 1540 in memory of the previous year’s victory over the Turkish admiral Hayreddin Barbarossa came to Kotor, sailed up the Škurda, and attacked the northern walls which were successfully defended after a fierce fight. The bridge, once covered and with numerous loopholes , blocked the approach to the gate from the river, Its last part was wooden and could be lifted in case of attack. The renaissance decoration of the gate displays the winged lion of St Mark, initials of Venetian provosts and dodges from the time of its construction and a short inscription of the 1539 victory. This church sits in a square just by the River Gate. Its beginnings are to be found in the 6th century basilica that served as the original seat of the Kotor bishop. The old, dilapidated church was replaced by the present day edifice in 1221 which is much smaller than the old basilica but with the apse in the same place. The single-nave church was built with alternating rows of reddish and white stone. Its octagonal dome, blind arches and the round apse with a pretty two-light window are all features of the local blend of Romanesque and byzantine styles developing at the time in Kotor. The north side of the church was extended with an aisle in 1434 while the bell tower was added in 1771. The church is roofed with thin stone tiles, the usual method from the 13th century repeated in restoration after 1979. The main western door is work of modern artist Vasko Lipovac presenting scenes from the life of Blessed Ossana who’s richly decorated coffin lies in the church and has reliefs by Croatian sculptor Antun Augustinčić ( 1939). Osanna, a shepherdess who come to Kotor and become Dominican nun, played a crucial role in the strengthening of spirits during Barbarossa’s attack of 1549. Inside the church one can also see the 14th century stone pieta , a 15th century wooden crucifix, several baroque paintings and early 14th century frescoes by paintings from Kotor who were mentioned in documents as “pictores graeci” (Greek painters) for their byzantine style. To the back of the church starts the street leading to the Fort of St John. Above the street is an arch with a stylized winged lion in a medallion, a Latin inspiration explaining that is also once led to the town granary and the date of its construction (1760). The building to the right of the arch is the Grubonja Palace from the late 16th century. On the façade of the first floor is a small relief, depicting the Monogram of Christ (IHS), a skull with snakes, lizard and tortoise beneath it. This is the emblem of the pharmacy that opened here in 1326, amongst the first in south-eastern Europe.On the other side of the square are stairs leading to the town walls. To the right is the Bembo Bastion (1539-40) adapted as an open-air stage, while to the left you pass above the backyards to the Citadel from where you can descend to the Arms Square. This square in the north part of the city takes its name from the old church dedicated to St Luka which can be seen in its center. The church was built in 1195 by tradesman Andrea Caccafrangi and his wife Bona “during the reign of Grand Župan Nemanja and his son Vukan” as it stated on the plaque above the west entrance. The church was used by Chatolic until the mid 17th century, when it was handed over for use by the orthodox population from the vicinity who found refuge in the town during the war with the Turks. However, the Catholic retained an altar in the church where once a year their service would follow the Orthodox one. This duality lasted until the French occupation (1807-14) when the church was turned over entirely to the Orthodox, who by the time formed the majority of the citizenry but could use only this church. The church draws on Byzantine inspiration (cupola) but is Romanesque in details (two-light windows on the west facade and the apes). The chapel of St Spyridon was adjoined to the north side of the church in 1747 and at about the same time the church also received the baroque bell gable ”on distaff”. Inside stands the gilded iconostasis topped by a splendid crucifix, the work finished 1710 by Dimitrije Rafailović , the father of Rafailović-Dimirijević school of icon painting. In a niche to the right of the iconostasis is the only surviving fragment of the frescoes painted around the year 1200. The artist painted around western saints- St Catherine, St Clement the Pope and St Marina-yet in the manner of Orthodox iconography. The floor of the church is made out of gravestone above the collective graves of Kotor citizens, since the church and its yard served as a cemetery until the 1830's. The iconostasis standing in the chapel in the chapel is a master work of Italo-Cretan painting from the mid 18th century with a standing figure of “Chris the High Priest”. To the right of the church stands the Lombardić Palace. Built in the mid 18th century , it is a fine edifice with baroque details and a belvedere on the top. It was here that during his many visits to Kotor Njegoš stayed with his friend the parish priest Ilija Lombardić. Njegoš’s window was the left one of the first floor and it was underneath in that Municipal Orchestra, founded one year earlier, played to him in 1843. The largest edifice on the square is the orthodox church of St Nicholas. Built in 1909 according to the plans of Ćiril Iveković the church has byzantine dispositions and a large cupola which rises above the rooftops, while the details were done in a Romanesque style. Until it disappeared in an 1896 fire, the Dominican church dedicated to the same saint stood here. The unpainted interior is uninteresting except for its iconostasis done by the Czech painter František Ziegler in 1908. The first church in this palace was run by the Benedictine nuns. When in the mid 14th century their order faded, the site was donated to the Clarissa nuns and the current church edifice was built. In the 16th century this order was dissolved and the church was taken over by the Franciscan friars. The front face of the church got its present day shape in 1708. Inside there are several altars of which the most beautiful is the high altar, work of Francesco Cabianca from around 1700. Its centerpiece is the byzantine icon of Virgin Mary with Jesus all clad in silver and gold. In front of it are figures of St Francis and St Clare while to its rear stands the “canopy” modeled from yellow marble. On its top are figures of God the Father John the Baptist and St Vincent. All around are small angels and cherubs, signifying both divine love and the love of the patrons Ivan Balica and Vincencija Buća who donated the altar in honour on their happy marriage. To the left of the church are convent’s quarters together with a small cloister and the large library with over 10,000 rare volumes, including tens of incunabula. The belfry is essentially Romanesque with is bell cast in 1512. The church stands on a small square easily recognizable for the huge population tree, which is thought to be over 300 years old. The square is new origin, having been converted from the year of a closed down church. Its name “Pjaca od kina” was formed in the same way as the names of the old squares, according to their most important feature, in this case cinema (kino).The first church standing here, even before 12th century, was a pre-Romanesque three nave basilica, considerably larger than the present day edifice. It was probably destroyed in some unrecorded 14th century tremor after which it was reduced to its present day size. Another earthquake, that of 1979, helped to revive its looks since before this date is served as a one storey house, not very different from the neighboring ones. Today on its west façade one can see several medieval reliefs and an inscription; the interior of the church is left without a floor in order to observe the foundations of its predecessor. In and around the apse there fine 15th century frescoes by Lovro Dobričević. The museum is situated in the Grgurina Palace on the Boka Navy Square (Trg bokeljske mornarice). The palace built in 1732 closes its north side with its wide and well proportioned façade decorated with large stone balconies. The last descendant of the Grgurina family, Bishop Marko Antonije, left his palace for the use of the town council in 1813 and it has served as the seat of the town administration since then. The museum was founded on the second floor in 1938 and was expanded to the whole building after WWII. The interior of the palace has been preserved, with wooden ceiling, floors in red and white stone and a small garden of the first floor terrace. The museum is focused on the development of the seafaring in the Gulf of Kotor and to the cultural progress of the region. The oldest items are Greek and Roman inscriptions and sculptures such as the head of Emperor Dioclectian, followed by the stone reliefs from the early Middle Ages and the Romanesque period, models of old ships, nautical instruments and equipment, historical paintings, weaponry, traditional costumes of Boka as well as the portraits and period furniture of Kotor citizens. Special attention is devoted to the Boka Navy and the mutiny of sailors abroad the Austro-Hungarian ships in 1918. The Boka Navy (Bokeljska mornarica) is an association of seamen dating from the Middle Age. Today you will see its members of festive days in Kotor and the other towns in the Gulf parading in their traditional black costumes and armed with historical weaponry. Though on most of these occasions you will hear that the Boka Navy will be 1200 years old in 2009, this is an exaggeration since there is no record of it until the 14th century when it appears as a guild of seafarers formed the mutual aid but also prepared to go to war on their ships. In times of Turkish attacks this warlike aspect become predominant while later the Navy lost its initial purpose and become a patriotic association. It was abolished by Austria in 1848 because of its Yugoslav nationalism while in communist days its religious aspect was deliberately disregarded. Everything connected with the Navy is soaked in ritual- starting from its 1463 statue ( though, understandably, much revised since), to its Admiral who is always accompanied by a “young admiral”, a boy destined to become the feature commander, and to the kolo (circular dance) performed by its members linked by holding handkerchiefs. The southern approach to Kotor, from the vanished suburb of Šuranj is closed by the Gurdić spring. This undersea spring is fed by the waters draining trough the limestone hills above Kotor and erupts here from the depths of the abyss. Gurdić has a beautiful deep blue color and is most amazing after rain when it gushes up from its depths, sometimes very forcefully. Above it stands the mighty Bon Tower the fine piece of fortification from the 15th century with several reliefs into it. The Šuranj Gate is actually a system of three gateways from various epochs. The outer one is the youngest and dates from 18th century. O it you can see metal wheels by which the drawbridge above Gurdić was once lifted. The middle gateway is part of the medieval town wall and probably dates from 13th century. The third and the strongest is the inner gate, added in the 6th century to reinforce the protection of this important position. To the left of the gate there is stairway to the top of the Bon Tower. This is the longest street in the Old Town running from the Šuranj Gate in the south almost all way to the River Gate in the north. Amidst the web of small snaking streets this is the only one that was long enough to earn a name. Starting from the Šuranj Gate the first building on the right is sturdy barracks of the Fort’s artillery. Next we reach the ruins of the St Francis Monastery. This monastery was originally situated outside of the walls, in front of Šuranj Gate, but had to be torn down in 1656 on the others of the town authorities in order not to be used by the approaching monastery still boasts a cloister and a tall belfry with a Romanesque crucifix on it. A bit further away, on left side is the Town Hospital built in 1769, after the battle with the rebellious clans who joined Šćepan the Little, a mysterious Montenegrin ruler. Today the building is used as the seat of the Cultural Centre and is connected to the sea promenade trough a small gate made in the walls. Continuing past the small Salad Square (Pjaca od salate), from which the alternative climb to the Fort of St John starts, and further behind the back of the cathedral the path reaches the large building of the former Town Prison. Built in the mid 19th century in place of two old churches it served its grim purpose all the way to the beginnings of the 1990s and still stands completely unchanged from Dom that time. Except for the imprisonment of criminals, the prison served on many occasions for the jailing of political adversaries: firstly of the rebels in Krivošije Uprising, then in 1914 as a temporary concentration camp of the Orthodox population who were then sent to camps in Hungary ; in 1918 here were imprisoned the sailors who motioned against Austria-Hungary in 1918 here were imprisoned the sailors who mutinied against Austria Hungary including the four ringleaders who were shot , while in 1948 the jail was filed with those who took the wrong side in the Tito-Stalin conflict. To the right of the prison building, hidden behind a tall stone wall with only its Romanesque portal visible is the Church of St Paul from 1263. Used for centuries by the Dominicans it was turned into a barracks during the French occupation and then in 1948 into a women’s prison when the high wall towards the street was added. The old Romanesque church is closed for visitors and experts to be reconstructed into a conference hall. To the left of the large prison building is the Church of St Joseph built in 1631 and used until the beginning of the 19th century as a Franciscan nunnery. A staircase leads to the southern entrance and the bell tower in which a 15th century bell still hangs. Inside the church is the high altar by Cabianca and a side altar a painting by the Flemish painter Peter Coster ( 17th century). Continue along the street and take first alley left to reach the small but incredibly appealing Church of St Ann (crkva Svete Ane). The church was originally dedicated to St Martin and later, when it was maintained by the butchers’ guild, to St Veneranda, and got its present day saint-protector only at the beginning of the 19th century. Built probably in the 12th century it has features similar to those of the churches of St Luke or Mary of the River with alternative rows of red and gray stone and Romanesque two-light windows. Inside of the church are fragments of frescoes done by Lovro Dobičević in the mid 15th century with the oldest inscription in Serbian in the Boka Kotorska. The completely preserved town walls of Kotor, 4,5 km in length, are one of the chief reasons that helped Kotor reach UNESCO’s list of the world heritage sights. This extensive fortification system is even more impressive considering that it climbs up the fearsome hill behind the town surmounting its many cliffs to reach the top of 260m above sea level where the Fort of St John stands. Here formerly stood the Illyrian and Roman strongholds even before the “lower town” ( present-day Kotor) developed and in a later era the hilltop was dominated by a Byzantine castle. The walls encircling the town and the hill where finished in the 14th century except for some sections which were unassailable to such extent that they needed no protection. The medieval walls got their present day appearance in the 16th and 17th centuries when they were reinforced and strengthened by the Venetians to withstand cannon fire. The fort was used by the army until the end of Second War. One of the fort’s peculiarities is an endemic species of slug almost blank in color Clausilia catharenisis which lives only amongst its walls. Climbing to the top of St John’s is a must for each and every visitor of Kotor. This 45 minute climb up its stone stairways with a total of 1,350 steps opens aerial views on to Kotor and dramatic vistas along its bay. There are two places to start the ascent: one leads from St Mary of the River and the other from the Salad Square along the so called Scala Santa (Holy Stairway). As many sections of this fortress are in bad condition you are advised to keep to the beaten path. Twisting in tight curves between the last houses nested on the steep slopes, both roads have two widening (once used by gunmen) just above the rooftops before they meet at St Joseph point ( all the bastions, sections of the walls and forts bear names of their patron saints or of the Venetian commanders who built them). Past the scenic cypresses and five little chapels you will reach the church “Gospa od zdravlja” (Lady of Health). Lying half way to the top it was first mentioned in 518 as the Lady of the Rest but was renamed after one of the many plague epidemic that hit the town. Through the wrought iron railings you can see a baroque altar with a silver clad icon of the Madonna and statues of St Tryphon and St Jerome. Hence several more serpentines lead to the north side of the walls and the “Small Fort”, a series of strong points. From here a small gate leads to the village Špiljari (špilja-cave)with its small church and just one family living off their goats. Well hidden, the village existed long before Kotor was established . In recent centuries it was known for its flocks and supplies Kotor with meat. A few minutes more and you reach the Fort of St John, the highest point above Kotor with panoramic prospects of the deepest part of the bay. On the other side is a deep gap from which starts the climb up to the mountains of Old Montenegro. 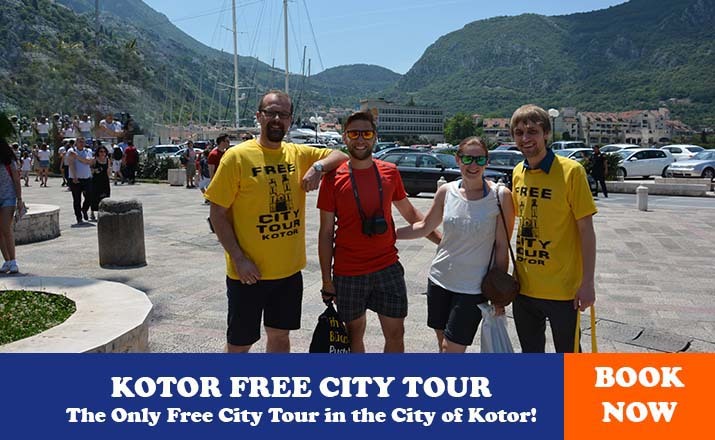 Just to the north of the Old Town starts Dobrota, once separate township and today fully joined with Kotor. For a long time this was a village in the shadow of the might of Kotor but when its brave captains, who distinguished themselves in skirmishes with the Turks, managed in 1705 to win the status of a separate commune Dobrota quickly prospered from sea trade and maintained the largest fleet in Boka Kotorska, numbering more than 400 ships. Since Dobrota lived from the sea it’s no surprise to learn that it spreads for 7,5 km to the north, with seven hamlets and with almost every house taking a portion of the coast. Above it looms a daunting rock called Pestingrad, where stories tell a fairies living in its caves. The gardens and olive groves of Dobrota are now covered with buildings and houses but the walk along the coast is one of the most romantic things to do in Kotor. The walk starts by the town’s open air swimming pool. Here the coast is lined with 19th century houses and several fine restaurants. Passing two small beaches you will reach the promontory with an old edifice housing the Institute of Sea Biology, in front of which stands a miniature chapel.Behind it are several places including the one of the Ivanović family, in which Njegoš once stayed. Passing a number of stately edifices and among them the grand Milošević palace (early 19th century) you will reach the Church of St Mathew standing on a small rise above the sea and enjoying grand views. It was build in 1670 after its predecessor tumbled down in the 1667 earthquake. Inside one can see the paintings “Madonna and the Child” by Giovanni Bellini and “St Nicholas “of Pietro Novelli. In one of the chapels is the bas-relief depicting the Annunciation by Venetian sculptor Giovanni Bonazza. Next to the church is the Institute for Tourism located in the house in which in 1813 the “Natioanl Commision” met. Comprised of 9 men from Boka and 9 from Montenegro and presided over by metropolitan Petar I this body reached a decision on the short-lived unification of the two provinces. Some 2km to the north pas the Tripković Palace with is rococo gable you will reach the large Church of the St Eustace (crkva svetog Stasija) dating from 1773, the time of the greatest flourishing of Dobrota. Inside you will see seven marble altars, each endowed by one or more local families, the paintings “ The Finding of the Holy Cross” attributed to Veronese, ”Madonna” by Karlo Dolci and several more works of Alojzije Soliman, the Dalmatian pupil of Tiepolo. On the ceiling are paintings on the life of St Eustace from 1938 and the modernist mosaic on the high altar is by Croatian painter Edo Murtić. The church also possesses a collection of Dobrota needle laces, specific in their style and made by the views of absent mariners. In the treasury are kept a flag and a turban-trophies captured by the Ivanović brothers in their famous clash with Turkish corsairs in front of Athens in 1756. The walk along the coast on other side of the Old Town leads past the suburb of Škaljari and then winds north along the coast which now faces Kotor. One kilometer from the Old Town you will reach the village of Muo. This village is one of the oldest in Boka and interestingly, has never seen a major change of populace. The inhabitants have from times immemorial been fishermen and have ever preserved some Greek and Latin words in their fishing terminology. Even today most of the fish on Kotor’s market comes from Muo. The row of modest stone houses is overtopped by the parish church dedicated to the Virgin Mary, Saviour of the Christians. It was built in a mix of neo-byzantine and neo-romanesque styles in 1864. In it lie the relics of beatified Gracija (1438-1508) who from his native Muo went to Venice as a sailor but then joined the Augustine monks there, spending the rest of his life and sanctity, feeding the poor and helping the needy. His body was bought back to Muo in 1810. Kotor was always the starting point for the climb into the hills of Montenegro. 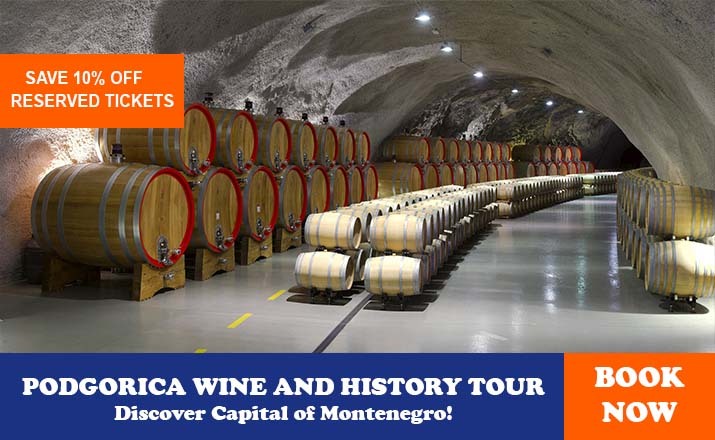 Here the travelers and diplomats would stack up on supplies of necessities not found further inland, find a good guide who also served as a guard and begin up the small dirt path starting from the River Gate and the Montenegrin Market. As the” road” was nothing more than track used by men and cattle, the Montenegrin price-bishop Njegoš took on the building of the better road. Though better than the last one, the road could also be covered only on foot or by donkey and was so steep that it was named the “Ladder of Kotor”. This historic road is shamefully neglected and therefore dangerous in some section but can still be covered by experienced hikers. In 1879 Austria-Hungary started the construction of new cart-road to Montenegro. Most of Montenegrins were against this fearing that the road might bring cannons and troops more easily up into the mountains but were convinced by Prince Nikola, to whom transport of any kind ( even of furniture or a piano was pain staking effort. The construction of a road on such harsh terrain, a great engineering accomplishment, was completed up to the Montenegrin border in 1884. The road still serves as the only connection between Kotor and Cetinje. It climbs up to the Trojice point marked with a small Austrian fort and a couple of curves later reaches the steep slopes of Lovćen which is surmounts with 25 serpentines, looming one above the other, each with a view a little better than the last. This road is a fascinating experience weather you cover it by car, bicycle or foot. It is also the place where car and bicycle races take place every summer. Prčanj is pretty township at the foot of green Mt Vrmac, spreading four kilometers along the water edge. The place was famous for its mariners: first mentioned in the 16th century, they prospered quickly and already at the beginning of the 17th century the Venetian republic assigned them with postal service around its Adriatic and Ionian possessions. Prčanj reached its prime during late 18th and all through the 19th century when, together with Dobrota across the bay, it had the largest number of ships in Boka Kotorska. The number of inhabitants was twice as high as today, and many of them where rich and well educated promoters of culture. With the end of the era of sailing ships Prčanj declined and sunk to level of large village whose past glory is reflected in many historical monuments. 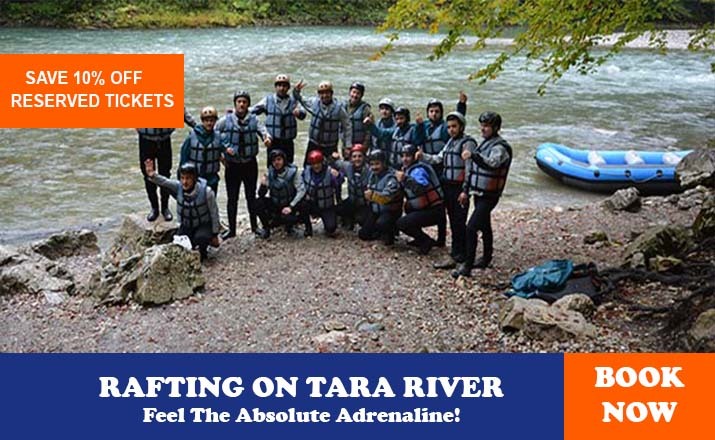 The township enjoys a favourable climate especially in summers when its rich greenery and shades of precipitous Mt Vrmac keep it pleasantly cool. Coming from the south one first encounters a small gothic palace known for its unusual three-part shape as” The Three Sisters”. The palace was built in the 15th century as a summer house of Buća family from Kotor, whose members rose to the ranks of the state treasures of Serbian Empire. The legend says that here lived three sisters who fell in love with the same seaman who went on a long trip and never returned. The sisters waited faithfully, refusing marriage proposals, when the first died her windows was walled, when the second one died her window was nailed with the second one died her window was nailed with a wood cover, the third one never saw her beloved one either, but by then there was no one left to close her window. Continuing northwards there are several nice views of center of Prčanj to be enjoyed. Next comes the tiny church dedicated to Our Lady of Carmen dates from 1730 and was used by the Franciscans as their monastery. The adjoining building, actually a cloister, was for a period home to a private naval school but is the best known for the episode from revolutionary 1848 when, on June 13th, representatives of Boka’s communes gathered in its courtyard and reached the decision to unite with other South Slav provinces, an idea which succeeded 70 years later. The center of Prčanj is marked by the Parish Church, standing on a 20 m rise above the rest of the houses. Dedicated to the Nativity of Virgin Mary, it is the largest church the whole Gulf of Kotor (35 by 23m and 31m high). It was started in 1789 on the plans of the Venetian architect Bernardino Maccaruzzi and financed enthusiastically by local captains who even transported the need stone from the island Korčula free of charge. The lower portion, in a distinctively Palladian style, was finished by 1806 when the Napoleonic wars hindered trade. The upper parts, together with a cupola , were done in the course of the 19th century but closely follow the original late baroque design. The church was finally consecrated in 1909 after the completion of the works on its interior, while the imposing double stairway leading to it took four more years to finish. In front of it are busts of prominent people connected with history of Prčanj and the Gulf of Kotor: bishops Josip Juraj Štrosmajer ( work of famous sculptor Ivan Meštrović) and Frano Ućelini-Tice, both promoters of South Slavic unity archbishop Andrija Zmajević an 18th century forerunner of its idea from Perast don Niko Luković, vicar in Prčanj and connoisseur of Boka who wrote many books on the subject, Ivo Visin and Njegoš. To the back on the church there are several old tombstones and various stone fragments and various stone fragments built into the wall. The interior is plain by appealing with most of decoration consisting of fine stone masonry. The main altar of particular baroque shape was made in Venice in 1744 by Giovani Maria Morlaiter while the icon of Mother of God constituting its central feature was done in the 14th century in a late Byzantine fashion. To the right is the side altar dedicated to Our Lady of Rosaria (sculptured in 1746 by Morlaiter) and to the left an early baroque altar dedicated to the Holy Family. The choir of the church is adorned with two more paintings –the large oil-on –canvas representing the Annunciation done by late 17th century follower of Veronese and a small gothic Virgin with young Christ (15th century).The sacristy of the church has been transformed into a small museum keeping church vessels and dressed as well as a number of works of art , mainly by various 20th century Yugoslav artists. Continuing further along the shore one first comes to the Visin House, home of captain Ivo Visin who sailed around the world in 1852-59 on his ship “Splendido” with a crew from Boka. Visin is often mistakenly described as “the first South Slav” to sail round the globe”, while this was already achieved by Stevan Vukotić in 1823-26. However, Vukotić was in service of the Russian Emperor and remained relatively unknown, whereas Visin sailed under the flag of Austria, who proudly publicized the success of the first citizen of Austria to accomplish such a journey. Lining the shore alongside this house stand a number of similar, stoutly built stone houses. Returning from the Parish Church back in the direction of Kotor, take the first path leading uphill. 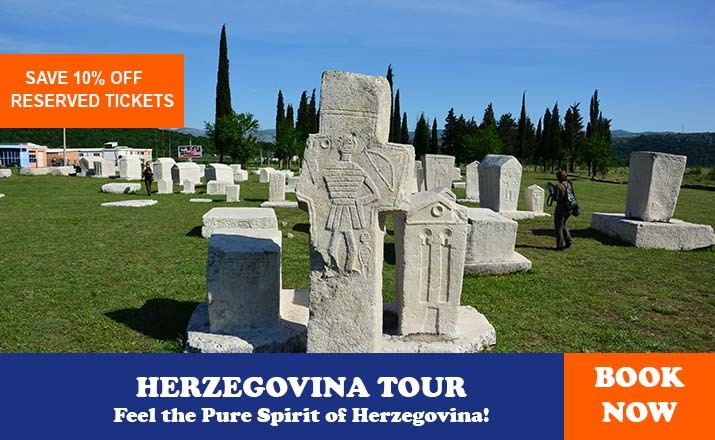 Initially you will pass the orthodox cemetery and it a chapel built in 1982 as a replica of the Old Njegoš chapel which one stood at the top of Mt Lovćen. At the top this track you will reach the old parish church of Prčanj, dedicated to the same feast as its newer counterpart by the sea. This old church sunk in the vegetation slowly overwhelming it was mentioned already in 1399. The octagonal chapel with a cupola is an addition from 1740. Inside are two baroque altars from the end of the 17thcentury . On the north edge of Prčanj is Markov rt point, possibly the nicest beach of the inner Kotor bay. Two kilometers further starts Stoliv, another settlement with a nautical tradition. The part lying by the sea, with tiny beaches and lots of flowers, is known as Donji (Lower) Stoliv. It is much younger and more populated than its upper equivalent Gornji Stoliv, high above in the greenery of Vrmac. Directly by the seaside stands the Church of the Name of Mary from 1774, with an opulent baroque main altar decorated with figures of Saints Peter and Paul. Gornji Stoliv, up to the 18th century the only Stoliv, is located high above the gulf, in a position from which an approaching enemy could be seen from afar and which offered much more protection. Today this peaceful hamlet comprises only a few houses lost in vegetation, all with a fantastic view across the Gulf. The walk to it (30 min) starts from highway some hundred meters before the church ( in the direction of Prčanj). It will lead you past the small village graveyard and the olive groves and through a lush chestnut wood. In the hamlet is large Church of St Elijah from 1553. Though somewhat deteriorated it is still in service and its old clock regularly strikes the hour. In its courtyard you will walk over many old tombstones with representations of deceased. If you are lucky enough to find it open, inside it you will see a fine triptych with scenes from Christ’s life ( Josip Tominić, 1853) and two side altars from the 19th century. 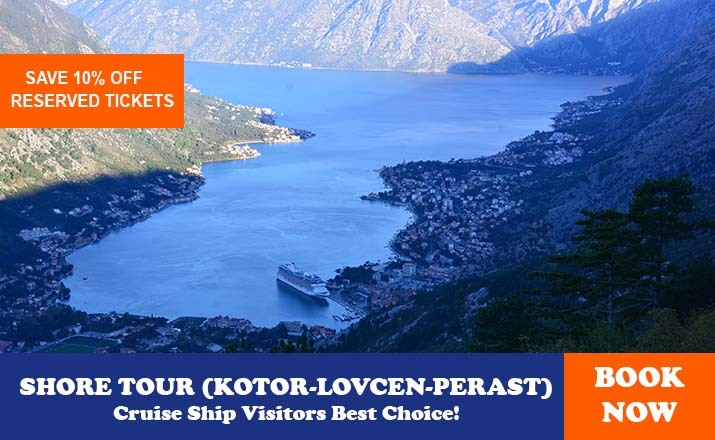 Nested at the foot of Sveti Ilija Hill ( 873m) and facing the Verige straits, the historic township of Perast appears to guard the entrance of Risan-Kotor bay. With its rear against the steep and barren hills of the mainland, it opens the sea and plunges itself towards the two islets, Sveti Djordje with the Benedictine abbey shadowed by cypress trees and main-made Gospa od Škrpjela, product of Perast's indomitable residents. The silence of its deserted houses and the aged stone streets speaks loudly of its passing greatness: the town grew quickly in the 16th century becoming a remarkable place of famous seafronts and baroque artists but degraded even faster already at the end of 18th century. As a result, Perast seems to be stuck in time, endowed with a curiously homogeneous architectural legacy and an air of faded glory. Though numerous archaeological findings from Neolith and its name’s association with the Illyrian tribe of Pirusti indicate a settlement of great antiquity, Perast is mentioned for the first time in only in the 14th century. In those days the township was formally still a possession of the Benedictine abbey on the islet of St George, but nevertheless operated a shipyard challenging the monopoly proscribed by Kotor, whose primate Perast disputed with growing strength. Building their reputation in troublesome times Turkish conquests, the people of Perast became known as brave seafarers who daringly clashed with the Ottomans and the Muslim corsairs on the sea. Men such as these were what Venice needed most and after brave defense of Kotor in 1539 the town’s twelve noble families (called casadas) obtained and honor of guarding the standard of the Venetian Republic in times of war. Finally, after its men fought in the battle of Lepanto in 1571, Perast was awarded a status of an autonomous municipality in 1584 beginning the era of prosperity. As it relied on its craggy hillside and maritime valor Perast never built town walls but only a fort Sveti Križ above it. Using the absence of men, North Africans corsairs struck in 1624 looting the town taking women, children and elders as prisoners to be later dearly ransomed to their families. Because in those days Perast had a fleet of about a hundred trading and war ships it was able to start anew, building in the following years its palaces and almost all of its 17 churches. In 1654 the town was attacked again by a 6,000 strong Turkish army but in this time not only did it flight the enemy off entirely on its own, but also managed to kill the Turkish commander. By a twist of faith, the Venetian victories over the Turks, supported by Perast as well, were to lead to the town’s doom: after the entire Gulf of Kotor passed to Venetian hands, other towns developed their own fleets and Perast lost its importance. Already in 19th century it retained only a shadow of its former glory, witnessed on its palaces, resounding names and titles and old traditions. In recent times the subtle charms of Perast were noted by many who brought old houses and refurbishing them in luxurious fashion bringing new life to the town’s streets. The view of Perast is embellished with its two tiny islands. To the left is one bearing the name of St George (Sveti Djordje), hosting a Benedictine abbey and the old town cemetery shadowed by tall cypress trees.Though the abbey’s history can be traced as far back as the 12th century little remains of its earliest existence as it has been destroyed many times since, most ruinously in the 1669 earthquake. The present day church was built after that event in a simple style with some details (such as the renaissance capitols) reused from older edifice. On the tombstones of the cemetery one can see the coat-of-arms of the Perast casadas and other notable families. They abbey is surrounded by the walls with loopholes testifying to the times when it was used as a stronghold. During the French occupation here resisted a small garrison and amongst them Ante Slović, a sailor from Dalmatia. During his stay Slović fell in love with local girl Katarina who lived next to the fort of the hill. In the fighting around it in 1813 Slović had to fire a gun and by mistake hit the house of his lover killing her inside it. The unfortunate sailor took the monastic vows, spending the rest of his life in this monastery and was in the end buried beside his loved one. The islet of Gospa od Škrpjela (“Our Lady of the Rocks”) is the most important catholic sanctuary in the Gulf of Kotor and the most important one dedicated to Virgin Mary who was highly praised by the local populace, especially by seamen. However impossible it might sound, the islet is completely man-made: generations of Perastians have piled rocks and sunk their old ships or captured Turkish vessels to form it and by now the island has grown to 3000 square meters. The islet still grows once a year when on 22nd July, the festive day of Lady, a decorated procession of boats arrives from Perast followed by traditional songs and beeping of boat sirens as each of the Perastians throws a stone in the water. The legend holds that the icon of Mother of God was found by two fishermen on a small reef; the pious men took it ashore and placed it in the church but during the night it returned to the reef. As this was repeated three times it was presumed that the miraculous icon prefers being there and so people started the building of a stony islet around the reef; the pious men took it ashore and placed in the church but during the night it returned to the reef. As this was repeated three times it was presumed that the miraculous icon prefers being there and so people started the building of stony islet around the reef. The temple was consecrated in 1452 but destroyed in the raid of 1624. The legend has it that the icon participated in fighting off the Turkish attack of 1654 scaring off the infidels. Present day church dates from 1630, with the octagonal cupola in a restrained baroque style and the atypical round belfry added in 1722. In contrast to its austere stone exterior, the interior is richly decorated. The walls and the ceiling of the nave are covered with 68 masterful oil paintings, the lifelong work to Tripo Kokolja (1661-1713), a native Perast, considered to be the best baroque artist not only in Boka Kotorska but of the entire Adriatic coast.The painting in lower areas represents the prophets of the Old Testament with the sibyls, foretelling the arrival of the Savior and his mother, and his lesser quality.In the upper zone there are fourth large canvases depicting scenes from the life of Jesus and of the Virgin Mary. The whole ensemble culminates with the ceiling paintings with scenes from the New Testament, surrounded ( in the smaller frames) by angels and still life’s and painting of the Ascension of the Virgin in the centre. Between the first and the second zone there are more than 2,500 silver votive plaques of all shapes and sizes testifying to the piety surrounding the church. Many of the plaques are donations by sailors representing their rescue from the stormy seas with the help of the Lady. The marvelous high altar of Carraran marble ( made in Genoa in 1796) is all baroque except for its center piece, the icon of the Lady of the Rock itself, work of late Gothic master Lovro Dobričinović of Kotor, made for the old 15th century church. On the side walls you will notice details of the bridal dress left over for good luck by the couples married in the church. The smaller altar to the right has an 18th century icon of St Rocco attributed to Tiepolo. The house adjoining the church is home to the small museum which displays many items related to the history of Perast such as archaeological findings, paintings of ships in battle, old weaponry and peculiar items such as the silk needlework representing the main altar of the church, work of Hijacinta Kunić which took her 20 years to finish and during which almost lost her eyesight. Contrary to the Sveti Djordje which is off the tourist perimeter, Gospa od Škrpjela is visited by many.The highway goes around the town while the most important street in the Perast itself is one by the sea also frequented by cars and smaller buses. There is no obvious solution for parking and you should grab the first place you spot. 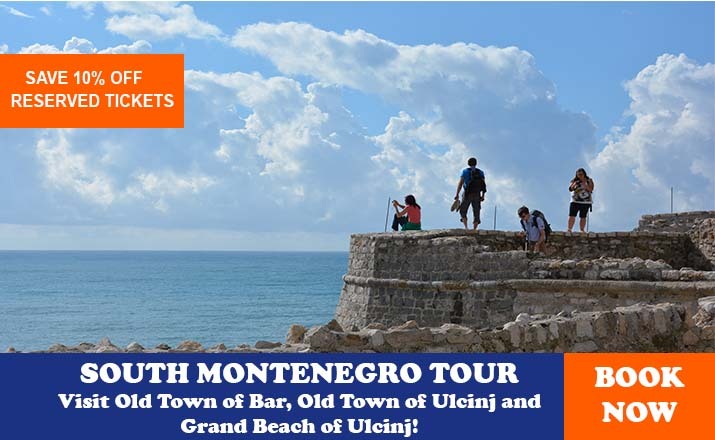 Our tour starts from the northern side of the town and the large Bojovića Palace, the finest piece of architecture in Perast, enjoying nice views of the coastline and the rest of the town. The palace was designed by Venetian Giovanni Battista Fontana in 1694 for Vicko Bujović (1660-1709), the commander of the town’s fleet known for his hot-headed temper and heroic deeds who died in a street duel with a local judge not far from his home. The stately palace has an open loggia on the ground floor and a vast balcony which runs along the whole length of the front decorated with two stone lions holding the family coats-of arms. Today the palace houses the Town Museum. On the ground floor you will see a small collection of Roman and Greek tombstone from the vicinity and the town of Risan. On the two upper floors are displayed many documents, gravures and objects illustrating the rich history of the town and its seafarers, with items such as the maritime banners crowned by the Venetian gonfalon ( state standard) and the flag presented to Matija Zmajević by the Russian Tsar Peter the Great, the portraits of Zmajević and Vicko Bujović by Trip Kokolja and many other prominent Perastians, as well painting (from 1711) depicting Marko Martinović teaching to the Russian seamen, many models of the ships, a 15th century sword with a Cyrillic inscription heavy with gold and gems and finally a small cannon used by local youths to practice firing. On the second floor one can see the self- portrait of Kokolja, icons from Dimitrijević-Rafailović school of painting and some paintings of the “Gallery of Solidarity” donated by Yugoslav artists to Kotor after the 1979 earthquake. A few steps to the north of the museum is a residential building marked with a plaque explaining that here at the beginning on the 18th century operated “Nautika”, the school of Marko Martinović where the first Russian captains received a part of their training in naval skills. This was the first naval school in all of the Slavic countries. In the highest row of houses one can clearly notice that ruins of “Biskupija” ( “the Bishropic”), the grand palace built in 1678 by Archbishop Andrija Zmajević (1624-1694) an erudite, writer and a collector of folk songs. On its facades are proverbs and morals written in Latin while the inside was once covered in Kokolja’s murals. Next to the palace stands his chapel dedicated to Our Lady of the Rosaries where the archbishop was buried. The harmonious small chapel has a portal with the Zmajević coat-of-arms (displaying a dragon-zmaj) and a gracious eight-sided-tower. Back on the shoreline lies the massive Smekja Palace from 1760 with a vaulted boathouse facing the sea. To its right the palace is adjoined by the Church of the Mark (1740)with a sculptures of Jesus, St Petar and St Paul on the top its gable. Passing a small square lined with a rare modern building in Perast we reach the centrer of the town marked by the parish Church of St Nicholas and its high belfry. The church was built in 1616 while the 55 m high belfry-the highest in Boka Kotorska-was added in 1691 by the plans of the Venetian architect Giuseppe Beati in the style of late renaissance. 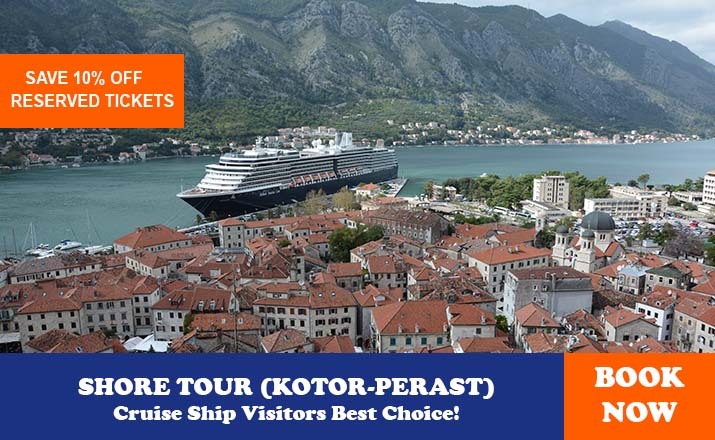 The climb to its top is awarded with excellent views of Perast and the islets in front of it. After the building of belfry, works were started on a construction of a grandiose new church. However, only a lot of apse and part of the nave were constructed to the west of the older church when around 1800 the works were stopped due to a lack of funds and let jutting above the old church. On the outer walls of the church you will see several Roman inscriptions as well as one in the local dialect celebrating a victory over the Turks in 1654. The rich interior of the church with several altars is crowned by an old organ. You could gain entrance to the church’s rich treasury hosted in the apse of the never finished church. Here one can see liturgical objects, church utensils and vestments from the 17th and 18th of century archbishop Zmajević’s renaissance silver cross, a depiction of the 1654 battle on a silver tablet and an oriental baldachin brought from a battle with the Turks in the 18th century. On a small square by the church are three busts by Croatian sculptor Vanja Radauš, representing Matija Zmajević, admiral of the Russian Baltic fleet, Marko Martinović, seafarer and a teacher of nautical sciences, and Tripo Kokolja, a baroque painter. From this square starts the main town street; it stretches parallel with the waterfront road which was constructed in the 19th century cutting through the gardens and docks of the palaces. Both streets today offer views of many houses of bright white stone. On the right side you will see the ruins of Visković Palace built around a defensive tower from 15th century with nice ornaments around its portals. A bit further is the Balović Palace a typical example of baroque mansions of the 18th century with two floors and belvedere. It was here that Njegoš spent the summer of 1844 and wrote his only love song “A Night Worth More Than a Century” (Noć skuplja vijeka). At the end of the lane, next to the small marina are places Šestokrilović and Bronze. Directly above the highway stands the Fort of Sveti Križ (“Holly Cross”) built at the start of the 17th century as the main defence point against Turkish attacks from the land. It stands of the site on the old church bearing the same name of dating from the 9th century which stood by the Roman road and below which Perast developed gradually. The simple square edifice of the forth housed the small Venetian garrison commanded by a castellan elected by Perastians. On the other side of the highway is the modest Franciscan monastery with the church of St Anthony ( Sveti Antun) in which can be see some more paintings by Kokolja. These days, Orahovac is just a sleepy fishing village at the top of the Kotor inner bay, but back in the 19th century it was famous for its sailing ships and captains. After the Krivošije uprising of 1882, which the people of Orahovac helped with enthusiasm most of the seamen left for Argentina.Immediately by the seashore stands a huge oak, estimated to be over 300 years old. From the middle of the village there is an ascending road leading to the Church of St George (crkva svetog Djordja). The church, surrounded by a graveyard, stands in a spectacular position atop a massive rock. It was built in the Middle Ages and has frescoes from the late 15thcentury preserved in the oldest part. From here one can enjoy the view opening all the way of Kotor. Half a kilometer along the road to Kotor is Ljuta River, which depends solely on precipitation in the regions above Boka Kotorska. 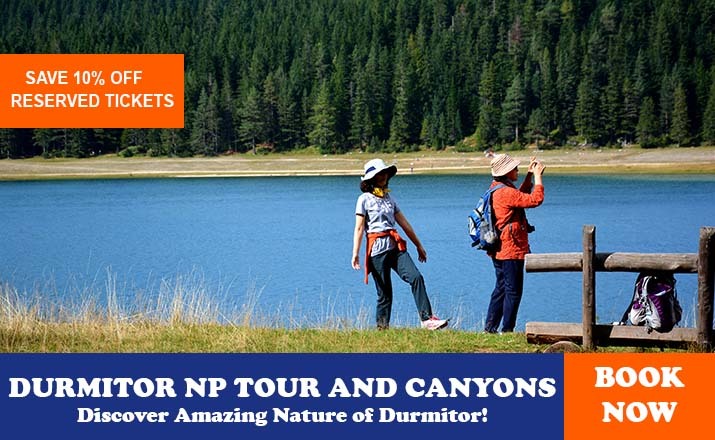 Visiting it shortly after rainfall you will witness its short stream rupturing from the steep crags and forcefully following into the sea after only a hundred meters of a most magnificent display of white water fury. Two kilometres in the directions of Pearst is Dražin Vrt, a hamlet of Orahovac with whom is shared its nautical fame, having in 1848 thirteen captains out of only 50 inhabitants. The most famous among them was Miloš Vukasović ( 1842-1908), descendants of an illustrations captains family, ship builder and an organizer of Argentinean steamship corporations. Today, the hamlet is known for two things. On is Kula Baja Pivljanina, standing by the highway, the tower-strike stronghold of Bajo Nikolić-Pivljanin, who led his daring attacks on the Turks from this piece of Venetian land. The other is a small gravel beach underneath the tower, famous for its crystal clean waters. Situated on mildly rising slopes on the north end Risan’s bay lays a town with the longest history of all the settlements in the Gulf of Kotor-Risan. Behind it, amidst the bushy Mediterranean vegetation well-known for its many herbs, one seeds the old road twisting steadily into the mountains. It was by this very road that its first known inhabitants, the Illyrian tribe of Rhizonites , descended to the shore and founded the town.First mentioned in the 4 century BC, it grew steadily in importance and it is quite possible that it become the capital of Illyrian king Argon and his wife Teuta. The legend holds that queen Teuta, after she was defeated by the Romans in 229 BC, retreated here and decided to commit suicide rather than fall into the hands of her adversaries. In fact, Teuta succumbed to the Romans and was left to rule a small district as a Roman vassal and thus Risan continued to be a seat of several more kings, one which minted his money here. Absorbed into the Roman Empire, the town obtained the status of colonia and was named Iulium Rhisinium. In those days it was several times larger than today and held such importance that the whole Gulf of Kotor was actually named Sinus Rhizonicus, a name by which it was known well into Middle Ages. In early Christian times Risan became the seat of bishop. With the coming of the days when strong walls were the only valid protection, most of its populace escaped to the newly founded Kotor. Risan’s fate was sealed in 865 AD when it was sacked and burnt down in a raid by Saracen corsairs. In the Middle Ages in stagnated and it remains unclear if its name designated a town or perhaps just a group of villages. The Turks captured it in 1482 and held it until 1687 when the Venetians got hold of it. Although in the 18th century the inhabitants took to seamanship and gave several famous captains, they kept close ties with the Herzegovinian hinterland by means of the only decent road leading inland from Gulf of Kotor, still to be seen winding uphill beyond the town. 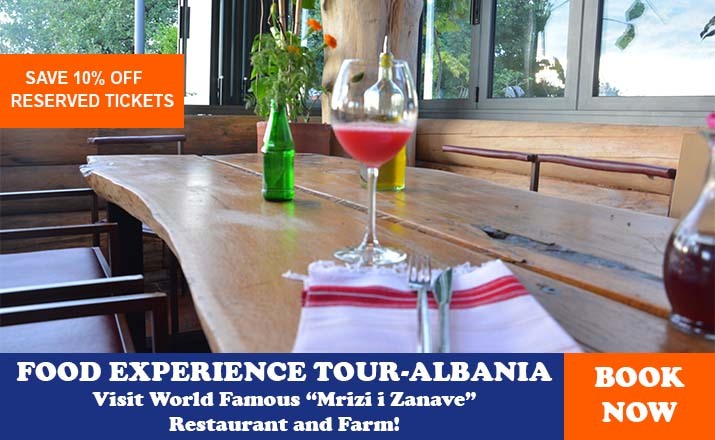 The “Herzegovinian market” brought in trade but also helped keep the old traditions alive, making the locals differ from the other inhabitants of Boka in terms of dress and unity of ideas. This became especially evident during the Krivošije and Herzegovina uprisings which they steadfastly supported. The same bravery was shown during the occupation in WWII when they led the uprising in this region. Risan of our days is a township keeping with its own pace and is seemingly not particularly interested in tourism apart from the Hotel “Teuta” with its Carine gravel beach and a small yachting quay. Unlike the situation in most other places in Boka, Risan’s central Gabela Street leads from the shore to the hills. The street is lined with quaint stone houses and paved with multi-coloured rocks set in simple patterns. To the right of the street is a park with two orthodox churches. The smaller one is older and dates from 1601, but sits on the ruins of medieval church. The large one, dedicated to Saints Peter and Paul, was built in 1796 in a retrained baroque style. Its dominant feature is the tall bell tower with a clock and fine rose window. The most important works of art inside the church are its 16th and 19th of century, icons, many of them painted by the local Dimitrijević- Rafailović family that gave eleven artists in five generations. Two centuries of their continuous work saw very few changes in their conservative style. Just a few steps to the right of the park is Risan’s best known site, the remains of a Roman country villa with marvelous mosaics all from 3rd century AD.The freshly built visitors’ center treasures well preserved mosaics with a range of floral and geometrical patterns; certainly the most memorable among them is one depicting Hypnos, the deity of sleep and oblivion, which embellished the bedroom of the villa. A road leading upwards from this point follows the old route to the hinterland. Today is primarily used as a shortest way to Nikšić. Similar to the “Ledder of Kotor”, this road turns quickly into a series of serpentine with stunning views over the Gulf. While driving along it pay attention as it is narrow and very bumpy. The road reaches the new one halfway up the slope but don’t be deceived since these good conditions don’t last all the way to Nikšić. After approximately 1,5 km at a sharp curve take a left turn onto a minor road. This is the area of the Krivošije clan, best known for its brave uprising and the village of Crkvice which has the highest precipitation in the whole of Europe, averaging yearly 5317 mm and with the highest rainfall of 8065 mm recorded in year 1937. Unfortunately, nearly all of the villagers left for the seaside after the 1979 earthquake and this whole region is virtually uninhabited today. That means that Crkvice (or any other place here) is impossible to recognize. The whole region is sunk in wilderness and its interesting only for adventures hikers and speleologists. About a kilometer away from Risan in the direction of Herceg Novi the highway passes above crag in the in the rocks, the Sopot well. Uninteresting in sunny weather, the well should be visited after the rain when it turns into a wild looking waterfall, spilling a huge amounts of water into the sea from the height of some 30 m.
Krivošije (literally “Bent Necks”) are a clan living in the unssaiable mountain hinterland of Boka Kotorska. Though their territory lies close to the sea their ways were more similar to those of the neighboring Montenegrins and they lived with a little or no connection to their normal masters in towns by the sea. In 1869 Austria-Hungary decided to break the old agreement between the clans of Boka Kotorska and the Venetian Republic by which the clans were exempt from serving the army. Krivošije ( and other maritime clans such Grbljani, Paštrovići etc. ), who saw this as a breach of tradition and an intrusion on their freedom, unanimously refused to obey and rose to arms. The first smaller army units sent against them did not even manage to reach the clan’s settlements. The Empire took to wider preparations and amassed an army several directions but were attacked in the harsh terrain which offered excellent possibilities for ambush, blocking of narrow roads and hit-and-run tactics. After several days of hard fighting the troops had to retread. After another offensive was beaten off the commanding general was dismissed but the next one and his attack from all sides witnessed a similar fate. After four months of fighting with very little results the Empire was forced to give upon a tactic of slow intrusion, buildings forts which were not meant to just protect the border but also to keep an eye on the clans. To connect the forts to the seaside and among themselves, the Austrians built many roads in very difficult terrain, some of which remain unchanged to this day. When in 1881 the original agreement was broken again the new uprising was dealt within a few weeks and many of the rebels fled to Montenegro. Lipci Rock is located in the middle of a naturally formed amphitheater above the settlement of Lipci, on the northern coast of Risan Bay in Kotor. This is the archaeological monument of culture of the Second category, showing prehistoric drawings of deer hunting scenes, a symbolic sign of the rising Sun, as well as some other symbols. These painted scenes, according the scientific findings, do not only represent reality, the illustration of hunting as an occupation, but also the symbolic and magical related to it. The art on Lipci Rock represents the most complete ensemble of prehistoric Balkan art, where distant epochs of the spiritual life of the inhabitants of Boka Bay can be studied. The art at Lipci, created in the 8th century BC, is the second oldest on the Adriatic coast. Because of its chronological and other significant values that provide knowledge about past culture, the painting on the rock at Lipci, deserves exceptional attention and that the site where it has survived for millennium should be suitably protected, studied and presented to public. Bijela (meanings “White”), mentioned in Medieval Latin sources as Alba)is a large village lying on the north side of the second bay of Gulf, facing Tivat. It developed in a field, the largest and most fertile between Herceg Novi and Risan, hence its early development: in the 6th century it had a basilica, destroyed probably in the Slav onslaught, and 809 it got a Benedictine monastery, used as a starting point for the conversation of the locals. Although it was and agricultural area it also took part in seafaring, producing a number of famous captain, some of whose houses survive near the waterfront. Its sandy beach, one of the best you will find in the Gulf of Kotor, is somewhat spoiled by the shipyard next to it. The shipyard continues the tradition reaching from the Middle Ages, and though not as active as before, it still employs a great deal of Bijela’s population Bijela’s most important monuments is the orthodox church of Riza Bogorodice. It is located in a charming dale about one kilometer inland from the highway. The turn is marked with a sign; the road at one point becomes very narrow and drivers should be wary of the vehicles coming from the other direction. The large stone edifice that we see today was built in 1824 but it incorporates a part of much older church whose white-washed apse in an unusual addition to its look. The church originates from the end of the 12th century and is one of the oldest surviving in the whole Gulf, the fast reflected in its simple pre-Romanesque looks. The interior of the church is dominated by the gilded high iconostasis done by the Nicolaos Aspitis from Corfu and pair of old icons brought by the seafarers from their voyagers to Greece. On the floor you can see the outlines of where the old church used to stand as well as its original basis through two glass panels. In order to see its apse you will have to ask the priest to let you behind the iconostasis. The apse of old church is located considerably beneath the foundations of the new one and is reached by descending steps. Its frescoes date from around 1200 and are the oldest in the Gulf of Kotor. They represent the Divine Liturgy with saints and angels bowing to the Virgin and Christ. In the small niche the unknown patron of the church’s fresco painting is represented. On the high hills above the church stand the crooked houses of the abandoned village of Kruševice whose several churches tell about its past importance. The village is best known as the place of origin of Felice Perreti, who later in his life became pope Sixtus V ( 1585-90). Peretti’s father left Kruševice for Italy after a devastating Turkish raid on the village. It is believed that Felice kept memory of his origin in his surname-pera ( pear) in Italian being the same as kruška in Serbian. North of Bijela you will pass the village of Kamenari standing at the beginning of the Verige straits. This is the narrowest point of the Gulf with its sides closing to merely some one hundred meters. The name “Verige” (“chains”) comes from a legend that the inner bay was closed with chains long ago. Instead of using the chains, during the Venetian era of the straits were guarded by the brave mariners of Perast, the town that faces Verige. The names of the opposing capes, Turkish Cape (Turski rt) and Cape Virgin (Rt Gospa) –come from the 16th and 17th centuries when the north side of the Gulf was under Turkish and the south under Venetian control. There is nice viewpoint at the tip of Turski rt, just off the highway. From Kamenari the ferry transports vehicles to Lepetani on the other side of Gulf. Orjen (1894m) is the highest mountain of the east Adriatic coast. When seen by sailors from far away the mountain’s peak served as a clear guide marketing east-oriens in Latin. Orijen’s massif rises above Herceg Novi, reaches its highest peak just 14 km from the sea and descends to the north and west, well into Bosnia-Herzegovina and Croatia. This unkind mountain has the highest precipitation in the whole of Europe due to warm air from the seaside cooling quickly while ascending its sides and forming rain-heavy clouds. The enormous amount of rain falling on its limestone rocks forms the most rugged karst terrain in the Dinaric Alps with countless pits (many with snow on their bottoms all year long), sinkholes and caves which make it a heaven for speleologist especially as most of these formations are unexplored. In winter the mountain looks much more serene as the heavy snowfall covers the coarseness of its surface. Here one can enjoy snow or even ski (through there are no ski lifts) up to the end of May and then go for a swim in the already warm sea. 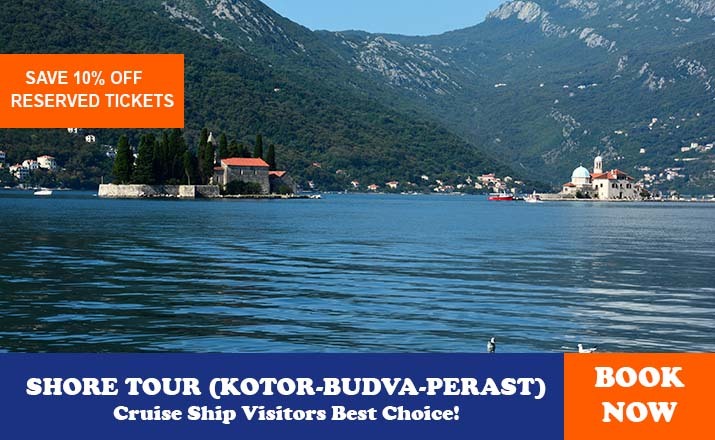 Its southern sides are also used for paragliding with amazing views of Boka Kotorska and the open sea. 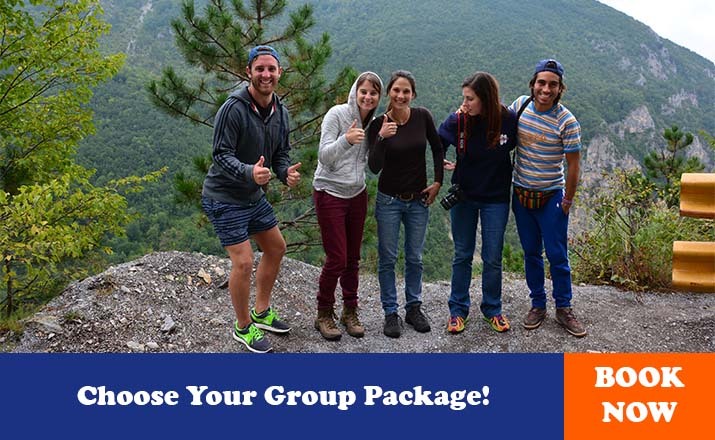 If planning with amazing views of Boka Kotorska and the open sea.If planning hike on this mountain note that the most rainy months are May and October, while in August the weather is sizzling in this waterless area. The rough terrains of Orjen are easily accessible by the road leading to Trebinje. One of the favourite excursion points for local is the mountain hut “Borići” 18km from Herceg Novi, reached by talking the right turn after passing the Kameno village. The mountain hut lies underneath the cliffs of Dobroštica, one of many unassailable ridges of this mountain.”Borići” got its name after a pine (bor) forest planted at the beginning of the 20th century in the barren area. Unfortunately a good deal of it disappeared in a forest fire in 2002. Here one can enjoy a view of Herceg Novi’s bay, have lunch or stay overnight. From “Borići” there is 2 km long marked path to the north, over the Vratilo ridge to the “Za Vratlom” mountain hut. The path follows the stone road built by the Austro-Hungarian army at the end of the 19th century towards one of the many fortress that secured Boka and kept the local populace calm. Real hiking lovers can reach the hut by following a marked route starting from the bus station in Herceg Novi (4h). The hut has fifty beds and electricity but is not open all year long and you should announce yourself to “Subra” mountaineering association in Herceg Novi. The hut is the usual starting place for climbing the peak Odijevo (1571m) on Dobroštica ridge: a marked path leads through a birch forest to Kabao and then along the ridge (2h) allowing for marvelous views of the Gulf. The most impressive (trough not the highest) peak of the massif is Subra (1679m) reached from the hunt in 2h while passing through heavily karst-field terrain with views on endemic Macedonian pines clinging to the cities. One should watch for poisonous snakes, especially in high summer. 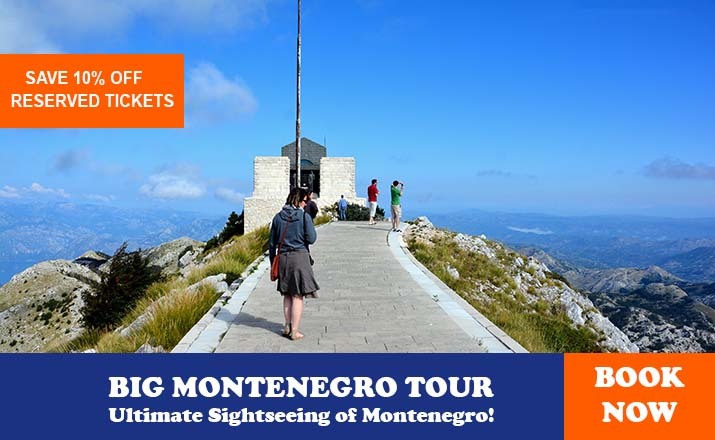 Subra in the best viewing point on Orijen and on a clear day one can see several ridges further inside Montenegro and Herzegovina, as well as the islands of the south Adriatic. Underneath Subra opens an amazing stone “amphitheater” where cliffs fall vertically for several hundred meters on three sides. Other point of interest reachable by car is the village of Vrbanj (27km from Herceg Novi), on the west side of the mountain, reached by the other branch of the road after Kameno village. Otherwise you can use the deserted mountain hunt, which is decent condition. The starting point of the highest peak on the massif-Zubački kabao (otherwise simply called Orijen)- is deserted mountains hut on Orjen sedlo (1580m). This point can be reached by a very bed winding road from Vrbanj or from Crkvice above Risan. The hut has 12 while water can be found in a nearby well (studenac). From here to the highest peak of Orjen will take you 30 minutes. To the east lies the 8km long Reovačka greda ridge whose steeps sides are a challenge even for the most seasoned climbers. Herceg Novi sits in a most beautiful position at the entrance of the Gulf of Kotor with which it shares its breathtaking views but not the climate: the town faces south and the open sea and enjoys a favourable climate with many sunny days. 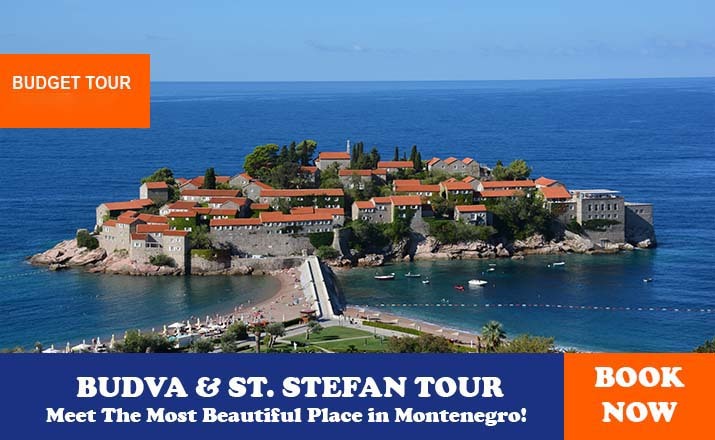 These qualities have made it one of the most visited holiday resorts in Montenegro, popular both in summer and during its mild winters. The town, the largest in Boka, spreads along the coast and has merged with Igalo and Topla, once separate villages, to the west. Another of Herceg Novi’s outstanding characteristics in Mount Orijen (1895m)emerging behind it, where, just a few kilometers away from the mild coastal climate, it is possible to enjoy in the pleasure of snow. If not a prime target in terms of monuments and heritage, the town compensates with its liveliness, high spirits and humour of its inhabitants. In comparison with other places in the Gulf of Kotor, Herceg Novi is relatively young. 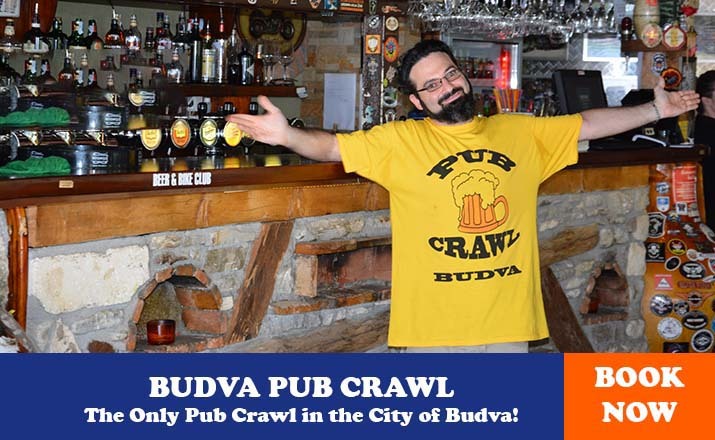 It was founded in 1382 by King Tvrtko of Bosnia who grated wide privileges in his intention to turn it into a trading port, which would rid Bosnia of its dependence on the Dubrovnik merchants who controlled almost all of the Bosnian trade. The brought an economic standoff between to two in which the reasons of trade prevailed so that the king had to abandon his project. The town was originally known as Sveti Stjepan (St Stevan) after the protector saint of the King’s dynasty, but was referred to by locals (and still is) simply as Novi, literary “New (Town)”. After Tvrtko’s death and the collapse of central power, the town became a possession of the barons from the Kosača family. Its most prominent member Stjepan Vukčić (1405-66) behaved like a sovereign and followed Tvrtko’s steps, settling the traders and cloth makers into the town and bringing new prosperity to the commune. As Vukčić used the title of Herzog of St Sava, his territory got a name Herzegovina, and his main trading port –Herceg Novi. The town’s new vigor didn’t last for long-Herzegovina dwindled under the Ottoman attacks until Herceg Novi, its last bit of land, was captured in 1482. The Turks realized immediately the potential of the town’s position and fortified it into one of the strongest forts of Adriatic.From here they attacked Venetian possessions in the Gulf and generally terrorized the trade on the open seas to such extent that 1538 the coalition of Christian forces was forged to attack the town. Combined forces of Venice, Spain, Papal State and Perast led by the admiral Andrea Doria attacked and after fearsome fighting captured the town, leaving a Spanish garrison to protect it as well as building one more fort.Ten months later the Turks appeared at its walls, two pashas from land and the famous Hayreddin Barbarossa from the sea. After 25 days of bloody hang fighting the remaining 300 Spaniards decided to surrender; astonished by their bravery, Barbarossa offered them to stay in the town as the Sultan’s subjects, which fifty of them did, allegedly for the reason that they fell in love with the town and its scenery. Herceg Novi remained in Turkish hands for the next century and half until 1687 when it was taken by the Venetians. Its capture meant that Gulf of Kotor was free from the Turks and opened a new era of prosperous trading and seafaring. Today Herceg Novi is a prime tourist destination in Boka Kotorska offering a perfect blend of sun, sea and culture. It is also known for its many festivals such as the Mimosa festival held in February when this flower first blooms announcing the coming of spring, or the Film festival held in the wonderful setting of Kanli kula fortress. Joined with Igalo and Topla, the town lacks a real centre: it is made up of long roads parallel with a seafront and short streets and notorious stairways connecting these and is furthermore soaking in lush subtropical greenery. The heart of Herceg Novi is the area inside the town walls laying in series of terraces on the precipitous cliffs above the sea. strengthened by all the subsequent rulers continually until the beginning of the 19th century when it got its present appearance. Today the Fort houses an open air cinema and a discotheque. A few steps away to the east along the promenade will lead you to Citadela, a lone bastion merged with the sea. Built during the Venetians era it sank partially into the sea in 1979 earthquake. The Clock Tower (Sahat Kula) is the focal point of the main town square –Trg Nikole Djurkovića-with many cafes, shops and institutions around it. Under the tower is a gate through which one gains entrance to the Old Town.Together with the short stairway leading to it, the Clock Tower is the symbol of the town, also seen on the municipal coat-of-arms. It was built in 1667 by the Turks (note the ogee arch of the central double window) but was later reshaped to suit European taste. The clock on the tower still proudly displays time accurately. Inside its gate stands a small statue of Virgin Mary carved by grateful devotees out of an oak blasted by a Turkish cannonball during the 1687 siege. The small stone paved square Trg Hercega Stjepana , popularly known as Blavista, is arguably the most charming place in the town.Old stone buildings encircle the tiny and delighted Church of St Michael. Built in 1905-11, this orthodox church is basically neo-Byzantine in style but with many Gothic and Romanesque details, which together with a four palm trees on its corners add to its maritime appearance. In the church there is a fine iconostasis from the same period. Next to the church is the picturesque Korača fountain, a rare survivor from the period of the Turkish rule true to its original form. From the square small streets and stairway spread out leading in all directions. To the east, one reaches a green corner amidst the town walls sheltered by the St Jerome’s Tower, built in 1687 by Hieronymus Corner, the commander of Venetian troops.Today, the seat of the Town Orchestra s located here. 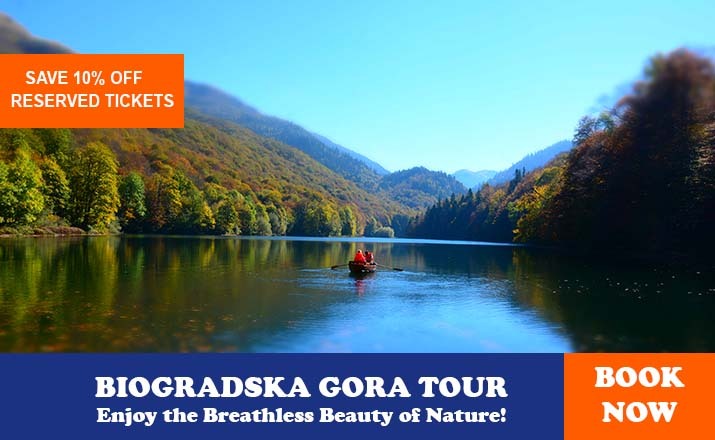 Taking the Stjepa Šarenca then Prve bokeške brigade and on the end Manastirska Street (each lying a bit above the other)will lead you to the pleasant Savinska Dubrava grove and Savina Monastery. In the lower part of the Old Town lies Trg Miće Pavlovića , another pretty square centred around the Church of St Jeroms. It stands on the site of the main town mosque, torn down after the Christian capture of the town; present day of edifice dates back to 1856. Its most interesting item is the altar painting representing the Virgin Mary surrounded by saints, a gift of Hieronymus Corner.The scenery behind the saints is actually the panorama of Herceg Novi at the time. Directly below this church is a small church dating from the same period and built for the use of the capuchin monks. Today it is dedicated to St Bogdan Leopold Mandić (1866-1942), a native of Herceg Novi, canonized in 1983 by Pope John Paul II. Music school of Herceg Novi is also located on this square. Best observed from the highway but with entrance facing the narrow stairways leading downwards to Belavista square stands Kanli kula, whose name translates from Turkish as the “Bloody Tower”. Built after the Ottoman re-conquest of the town, it is largest of Herceg Novi’s fortifications, dominating the Old Town and offering exquisite views over the Old Town and the entrance of the Gulf of Kotor. Together with its defensive role Kanli kula was also used by the Turks as a prison, with people held in a deep cistern. Following the reconstruction after the 1979 earthquake Kanli Kula has been transformed into a beautiful open air theatre with a view of the sea and home to the local film festival. In calm setting not far to the left of Kanli Kula’s entrance stands the West Tower, another imposing piece of fortification. Just across the highway from Kanli kula starts Srbina Street which will lead you to Španjola Fort, the best preserved piece of fortification in the town. Standing on a hill overlooking Herceg Novi this fort was commenced by the Spaniards during their brief rule but was finished when the Turks returned to the town (1539-48). It is square in base with massive tower on each of its corners and two gates. Above one of the gates on inscription in Arabic about the building of the Fort can be observed. Inside the walls there are ruins of the original buildings used by its garrison. Starting from Trg Nikole Djurkovića and the Clock tower and leading all the way to Topola and Igalo, Njegoševa Street is the main commercial and traffic artery of Herceg Novi. After its first part, enclosed by old stone buildings, on your left side open the views of the sea while on your right there is a row of houses and villas from the end of 19th century. Past the recently renovated “Gradska kafana” cafe and its classy terrace you will reach the Town Park, spreading downwards in a series of terraces.The park once belonged to hotel “Boka”, the most prestigious in the town and opened in 1908, but was soon accepted as a common value and all the townsfolk helped it developed. Hotel “Boka” perished in the 1979 earthquake but the parks remains with its many exotic trees and bushes, shady paths and a fishpond. Located just above the “Lovćen” beach on the promenade, the town museum is housed in a lovely late baroque mansion dating from the end of 18th century. The building and much of its artefacts are the donation by Mirko Komnenović (1870-1941) the mayor of Herceg Novi, MP and minister in the Kingdom of Yugoslavia. The building of the museum lies in nice park, full with palm trees, agave and aloes which together form and interesting botanical assortment. Up until a few decades ago Topla was a village of its own but is now fully joined with Herceg Novi. The village was known for its mild climate that earned it its name ( topla meaning “warm”) and for its nautical traditions. The importance it held in seafaring is witnessed in fact the during in Venetian era the seat of the local government was in Topla, not in Herceg Novi. Little remains of old Topla today: its centre used to be around two orthodox churches starting in Njegoševa Street-St George from 1688 and the one dedicated to the Ascension from 1713-both typical maritime edifices with nice baroque details and imposing stone gate. Above them is local graveyard adjoined by monastic cell in which young Njegoš was trough to read and write by monk Josif Tropović. In 1964 the Noble prize winner Ivo Andrić built a modest house in Njegoševa Street No. 65. In this idyllic setting and pleasant climate that did him a world of good Andrić spent most of the time until his death in 1975 writing and hosting many prominent personalities and writers. Later, the house was the seat of the Tribunal founded by Bertrand Russell which gathered prominent intellectuals who investigated American intervention in Vietnam and was in this period visited by Jean Paul Sartre. The house is today used by the writer’s club of Herceg Novi. 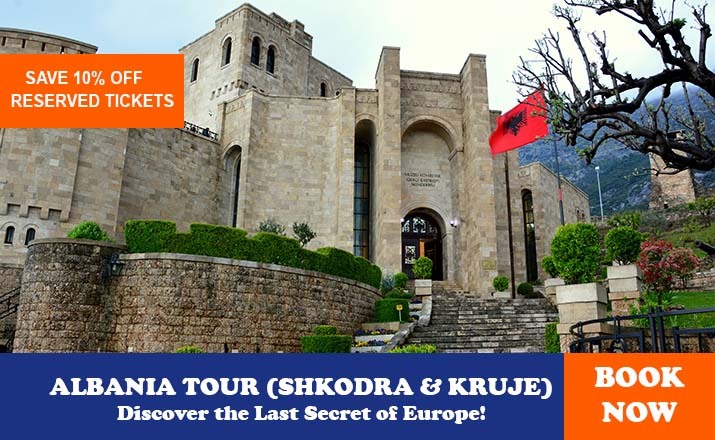 It retains its original look with features of Bosnian rural architecture while inside one can visit a memorial room dedicated to Andrić and his work. Further east from Topla lays Igalo (5km from Herceg Novi’s Old Town). It is a long beach slopes very gently into the sea so that after 250 m the water is still only meter deep. The fine sand found here forms mildly radioactive mineral mud with many therapeutic traits in curing rheumatism, bronchitis etc. That has won Igalo its glory. This is the only health resort in Montenegro and the only one of its kind in the entire east Adriatic. Nevertheless in tourist season its large hotels are booked mostly by tourists who are perfectly healthy and here to enjoy its sun and sand. The area to the west and north of Igalo is called Sutorina. Curiously, up to the 1930 this was administratively a part of Herzegovina and had a different historical development then the rest of the area. A part of Dubrovnik Republic since the middle ages, it was ceded voluntarily to Ottoman Empire after the Venetians conquered Herceg Novi and Topla. The same thing was done on the northernmost tip of the Republic at Neum, today Bosnia- Herzegovina’s only exit to the sea, and thus Dubrovnik only had borders with Turkey with whom it was in a fair relationship. This whole affair took place in order to separate small Dubrovnik from its most serious rival in the Adriatic, Venice,. Administratively part of Herzegovina but much more connected with Herceg Novi, Sutorina lived a twin existence. In all the Herzegovinian uprising against the Turks it was here that the rebels had their safe hideout, helped by their fellow Christians from Novi and Topla. Today the best known locality of this small region is Njivice, a small resort laying on the sea just below the Croatian border which has a regular and nudist beach. This long seaside walkway way runs from Igalo all the way to the other end Herceg Novi. It follows the line of the old narrow gauge railway which connected it via Sutorina to Herzegovina and Dubrovnik and which was operational until 1968.It was due to this railway that Herceg Novi and its vicinity become leading tourist resort in the Gulf of Kotor. A walk on the promenade will take you through several railroad tunnels and past Herceg Novi’s town beaches. Close to the Old Town is its most dynamic part called Škver with open air pool, town port and quite a few cafes and restaurants. At the west end of Herceg Novi, in a pleasant Savinska dubrava grove full of cypresses, oaks, laurels, palms and various herbal plants lies the orthodox monastery of Savina. According to tradition the monastery was founded in 1031 but the oldest of its churches doesn’t predate the 13th century. 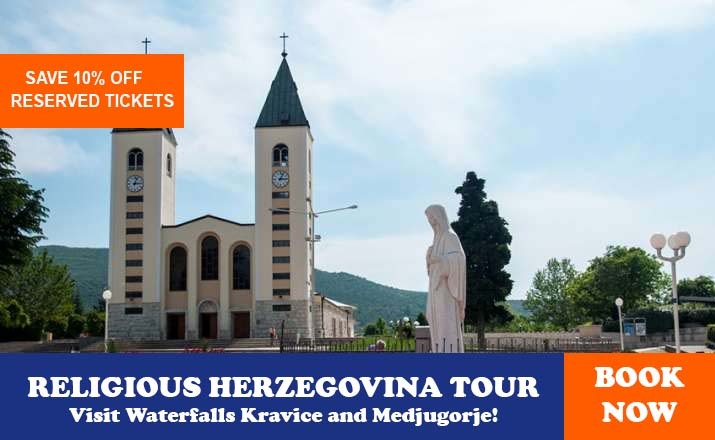 What is known for sure is that it was given new impetus by the monks who in 1694 settled here fleeing from the famous Herzegovina monastery of Tvrdoš which was destroyed by the Turks during troublesome wartime years. The rest of Savina’s days passed quietly and the event best remembered here was Njegoš’s stay during his schooling in Topla. Above the complex lies the small parochial church of St Sava from the 13th century after which the whole site and the monastery was named. The monastery complex comprises two churches, both dedicated to the feast of Assumption. The smaller one is older: judging from its gothic features it was built in the time of Herceg Stjepan (mid 15th). There are several layers of fresco paintings on its walls, ranging from 1565 to 1831. The iconostasis was done ad redone on several occasions in 18th century.The central “Emperor’s Door” and crucifix above it were painted in 1703 by Dimitrije, the father of Rafailović-Dimitrijević school of icon painting. The larger church is remarkable edifice built from 1777 to 1799 following the plans of Nikola Foretić from the town Korčula (today in Croatia) who skillfully blended the Byzantine ground plan and cupola with the traditional Romanesque details and baroque bell tower. Inside the church you will see the marvellous high iconostasis painted in 1797 by Simeon Lazović of Bijelo Polje. The monastery has a rich treasury (riznica: free entry ), most of its valuable brought from abandoned Tvrdoš monastery. Here you will see the crystal cross edged with silver supposedly belonging to St Sava ( 13th century), glided enamel several (1648), silver reliquary from 1759 of hand belonging to Jelena, wife of Serbian Emperor Dušan the Mighty, glided ciborium (1675) made to resemble the look Tvrdoš, epitrachileon on blue silk (14th century), should embroidered in silver and gold thread (1659), and wooden cross with intricate carvings (16th century). The collection of old books and documents in equally extensive comprising of the monastic rule of St Sava (transcribed in the 16th century), characters of Nemanjić kings and dukes of of Bessarabia (present day Romania), hand written Octoechos from 1509 and letters written by the Montenegrin metropolitans. Continuing along the highway from Savina one reaches Meljine quickly, a small resort with sand beach hidden in lush greenery. On its waterfront one can see the ruins of a Venetian lazaretto (maritime quarantine) from 1732. Immediately after the tunnel you arrive in Zelenika, a large village know for its harbour. 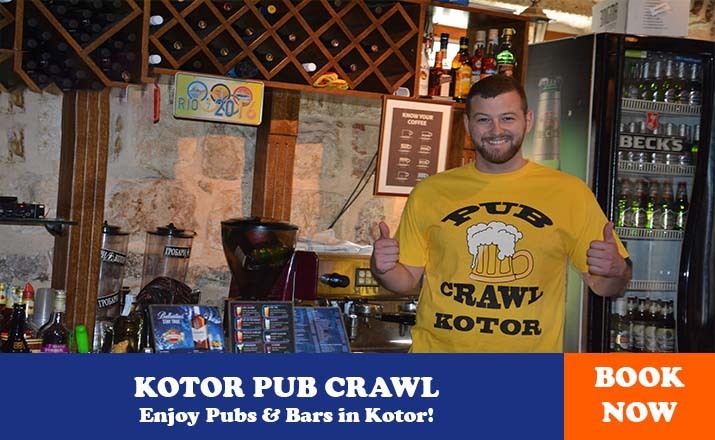 Close to the last stop of the narrow gauge railway in 1902 hotelier Antal Magyar from Budapest opened the first modern hotel in Boka Kotorska. The building of his hotel “Plaža” ( “Beach”) still stands on waterfront but was until recently off the tourist path, as it was being used by the army.The family Magyar still lives in Zelenika. At the exit towards Kumbor you will notice the church of Holy Trinity (mid 19th century) standing charmingly on a hill above the highway. The most interesting antiquity in the surroundings of Herceg Novi is the church of Saints Sergio and Bakh ( Crkva Svetog Srdja i Vakha) in the village lies just above Herceg Novi and can be reached uphill from the highway at Meljine, on the main route towards Trebinje. The church stands above the road at the village cemetery where you will see many nice gravestones of local merchant families who constituted a good part of the prosperous Serb colony in Trieste. This unusually tall church was built at the beginning of the 15th century but is remarkably well kept. It is made out of local stone and has a round cupola. Its sole ornaments are the blind arches and the baroque belfry added in 1769. Inside is a nice iconostas done by Simon and Aleksije Lazović of Bijelo Polje. 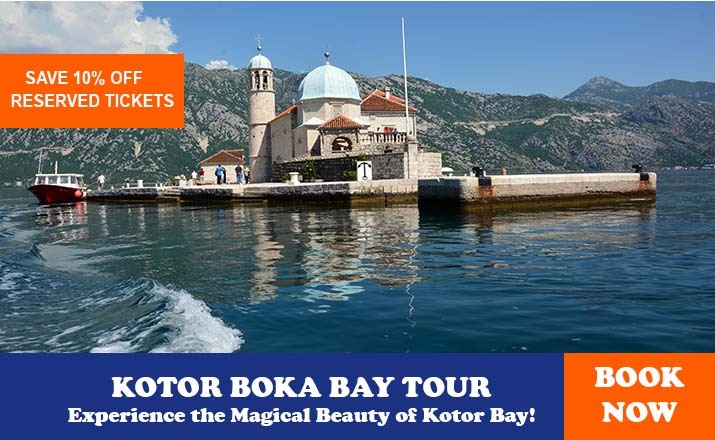 The youngest town of Boka Kotorska is set at the foot of Mount Vrmac, on the edge of a fertile plain opening to the south and to wide bay that bears the town’s name. Sheltered from the north winds by Vrmac and open to the south it enjoys a favourable climate that made the plain in which it lies from time immemorial into the wine and fruit growing region. This copious area attracted settlers such as the Illyrians and Romans, but remained pastoral, with several smaller villages scattered around.The name of the present day town in mentioned first “only” in the 14th century when the noble families of Kotor built here there summer houses, small castles from which they could gather their feudal duties in crops, which were later owned by the wealthy captains from Perast and Prčanj. It was the only after 1898 when Austria-Hungary built its naval arsenal here that Tivat grew rapidly, becoming the largest town in the Gulf until the mid 20th century when it was surpassed by Herceg Novi. Today Tivat and its surroundings are an attractive resort, with many hotels and boarding houses. However, except for a few, the beaches here are small and those in Tivat itself are all concrete. The main historical sight in the town, and one of patrician villas erected here, is the tower of the Buća-Luković summer house. The tower with logia on its top, built in 1548 by a local builder, is the only remaining part of the house. It is located on the street parallel to the coastal promenade and it is today part of the Town Gallery. In a closed yard next to the tower is a small chapel from the same period, dedicated to St Michael. Slightly northwards from the tower is Tivat’s Town Park, the largest in the Gulf of Kotor. Its tradition was started by the seafarers who used to bring tropical and sub-tropical plants from their journeys. Today it is just a shadow of its former glory, with only the old trees surviving the neglect. In the park there is a monument to naval officers Milan Spasić and Sergej Mašera, who in April of 1941 heroically blew themselves up together with their ship “Zagreb” in the order not to fall into Italian hands. A fairly modern town, Tivat stared to be popular thanks of Porto Montenegro, the first comprehensive state-of-the-art deep water marina in the Adriatic Sea.The construction site was a naval shipyard named Arsenal, which fell into disuse after breakup of Yugoslavia and the decline of the Yugoslav Navy. The attractive lot on which the shipyard is situated was put on public offering in 2006, and was bought by Canadian businessman Peter Munk. It was acknowledged in 2008 that was not alone in the venture-while Munk owns 54% of the Porto Montenegro company, the rest owned by Oleg Deripaska, Nathaniel and Jacob Rothschild, Bernard Arnault, Sandor Demian and Antony Munk. Munk announced that he intends to build a luxury yacht marina and a waterfront community, which would cater to needs of growing community of super yacht owners. The favorable position of Tivat in the secluded part of the Bay of Kotor, together with the proximity of Tivat Airport, makes it perfect location for a marina. Porto Montenegro will eventually offer over 600 berths of all sizes - at least 130 reserved for yachts of over 30 meters - as part of a full-service community of luxury apartments, shops, restaurants and other sports and entertainment amenities. The marina will have berths for 650 yachts, 150 of them super yachts, up to 150m long. Heading north along the coast one passes through several settlements that have blended into one with Tivat. Directly behind the closed down shipyard is Rt Seljanovo, a point of land that just into the gulf and has a long sandy beach. Adjoining it to the north is the village of Donja Lastva, earlier also one of the sites that attracted the patricians of Kotor. Its waterside is lined with nice 19th century stone houses ending with the Church of St Roch (1901) whose most valuable possession is the 17th century icon of St Tryphon, work of Greek painter Ilias Moschos. Much older that its lower lying counterpart is Gornja Lastva, located 3 km uphill in Vrmac. Today almost deserted this old village is topped by a fine catholic church from the 15th century and thoroughly renewed in 1715, whose size tells of the prominence of the village at the time. In contrast to the unassuming exterior, its interior is much more baroque with the main altar made of colourful marble from 1720 which previously stood at the Gospa od Škrpjela church. Its painting of the Nativity, to which the church is dedicated, is a work of Angelo Trevisani, a Venetian artist from the early 18th century.The rest of village is partially covered in lush vegetation. High above the village, at the top of a hill overlooking the small church of St Vid, built at the beginning of the 14th century. It enjoys views of Tivat and its bay on one side and Mt Lovćen on the other. To reach it takes the road above the church and then path to its left before the last houses in the village. If walking in nice weather be very cautions of snakes. The road climbing from Gornja Lastva will take you to the top of Vrmac, past its highest peak its highest peak Sveti Ilija (785 m) and then along the ridge of the mountain and down to the Kotor-Budva highway. Back on the main road, which now follows the coastline closely, one reaches Lepetane from where the ferry crosses in a short ride to the other coast of the gulf to Kamenari village. Lined along the seaside, Lepetane was always famous for its seafarers. In the village there is a small catholic church of St Anthony with an 18th century painting of the Tiepolo school on its main altar. Behind Lepetane are famous Verige straits. To the south of Tivat lies a group of three islands tailing one another. Closest to the land, and actually for centuries joined with it by small dyke, is Prevlaka, also known by its tourist name Ostrvo cvijeća (“Island of Flowers”).To reach it get off the highway to Budva, pass the gas station before the airport and then follow it to end. This small island (200 by 300m ) with a nice gravel beaches had a huge historical importance since the 9th century, when the Benedictine abbey dedicated to St Michael was built here. In 1219 the monastery become eastern-orthodox and the seat of the bishop of Zeta was located on it. Ehen in 1420 the island fell to the hands of Venetians the monastery had a difficult time and was barely tolerated by the catholic prelates. Soon afterwards the monks supported the rebellion by peasants of Grbalj against their masters in Kotor; the Venetians responded by poisoning the entire fraternity and rising the monastery to the ground. Today, the island looks seemingly unburdened by its legacy given that at the beginning of the 1980 s it was turned into a holiday resort for the Yugoslav army, with dozens a small cottages dispersed in greenery and flowers which served as to island’s trademark. The flowers are still here but a gayety of the resort is gone since for over decade the island houses no tourists but is home to Serb refugees from Croatia and Bosnia. The remains of a famous monastery are located at far end of the island. The work to restore it is on its way but for the time being one can only observe the foundations of this 21 m long three-nave basilica. Facing the ruins stands a small church built in 1833 by Countess Katarina Vlastelinović from Herceg Novi, who sold her property to by the island and donate it to the Orthodox Church. Second in line is an island that is known by many different names but it today mostly referred to as Sveti Marko (St Mark). The elongated island covered in thick wood was purchased in the 1980 s by the “Club Mediterraneo” and turned into an exclusive resort where its members spent their holidays in Polynesian-style wooden bungalows. Since the start of the war in Yugoslavia it saw no tourists but remains off limits to visitors. The third one is known simply as Otok or Island and is home to a small Franciscan monastery. Originally dating from 15th century it was destroyed by lighting in 1844 and restored in 1901 by Bishop Frano Ućelini- Tice of Kotor. The island is off the tourist map. Immediately to the south of Prevlaka is the Soliosko polje field that takes its name from salt flats (solilo) that used to operate here in the middle ages, making an object of many aspirations. Abandoned long ago, the salt-works are now a marshy field washed by the sea, in which many bird species found their home and which Has recently been promoted to a bird sanctuary. Luštica is name of a fairly large peninsula lying between the Bay of Tivat and the open sea, connected with the mainland by the 1, km wide isthmus. The whole of peninsula is dominated by its highest peak –Obostnik (586 m)and is covered in thick Mediterranean copse and, in spite of its size, it has little fertile land. The coast of Luštica towards the bay is dull and almost straight in line, while the once facing the sea is set thickly with bays and coves of all sizes.On the peninsula there are two groups of small villages-Krtoli and Luštica. The six villages of Krtoli lie on and around the isthmus, where there is more arable land. Apart from cop growing, Krtoljani (as the inhabitants are called) were known to produce clay objects. Approaching Luštica by the only road from Tivat, after the airport one cannot fail to see the closed down brick factory which continued that tradition in the socialist period. The eight villages of Luštica lie on the peninsula itself and where known for the abundance, in olive groves and for its seamanship, giving many famous sea plant diversity throughout the centuries. Today Luštica is known for several excellent beaches, certainly the best in Boka kotorska, some of which are very busy while the others are well hidden and less frequented. Luštica basically has one road that circles around Mt Obostnik with several smaller roads branching off to the villages and coves. Taking it will allow you to enjoy a will balanced combination of beaches, desolate shrub-covered scenery and small inland villages. 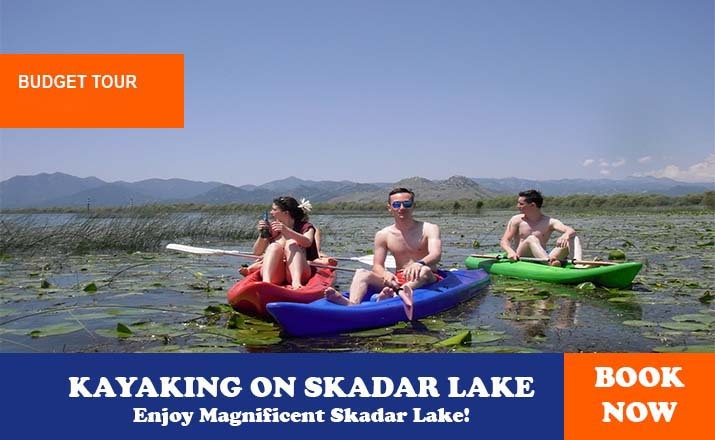 If coming from the direction of Tivat take the right turn after airport and then pass the Solilsko polje swamps. The road follows the coastline with many summerhouses and pensions and then forks: the right branch goes to Krašići and rose at the lip of Luštica while the left leads to Radovići. The largest of the villages in the Krtoli group, Radovići has several well supplied shops which are open whole day ( in contrast with those in most of the other villages) and makes a good starting point for the tour of the peninsula in a clockwise direction. Radovići has a fine church of the Sveta Gospodja (from 1843) located on a rise close to the road on the right side. In the village of Gošići that has nowadays melded with Radovići is the church dedicated to St Luke (crkva svetog Luke), which stands on a impressive hilltop that can be seen from afar. To reach it, follow the sign and continue along the main road to the end in spite of all its curves. The present day orthodox church was built in 1776 on the palace occupied in the middle ages by a Benedictine monastery and even earlier by an Illyrian stronghold. The church enjoys spectacular views of the vicinity and the both sides of the isthmus. At the exit of the village, a road splits to the left leading down to the Pržno beach. Pržno is small cove in a large Trašte bay that has a fine sandy beach descending very gradually into the sea. Its fine sand is thought to cure rheumatism. Back on the circular road, one embarks on the ride through the secluded south side of Luštica. 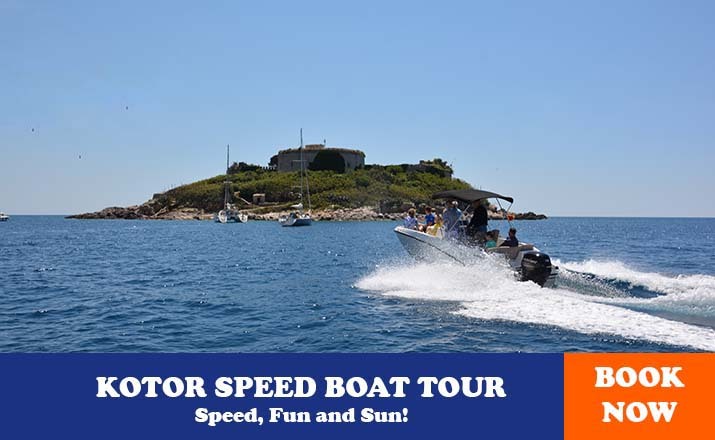 Passing the small Mrdari and Begovići villages, from which there are several dirt roads descending to small coves facing the open sea and several locations attractive to drivers, you reach the hooking curve leading to Žanjica cove. The road slides down through delightful Mediterranean vegetation and then splits into two. To the right is Žanjica a wide pebble beach with several cafes and restaurants and a camping site. Due to its clear turquoise waters it is one of the favourite beaches of Boka and is visited often especially by boats arriving from Herceg Novi. The same boats continue their trip to Plava Spilja a cave hardly reachable from the land side. This cavern filled with a seawater is known for its spectacular blue colour (that give it is name) and for the play of sunlight in its waters contrasting with the dark ceiling creating an experience that attracts many tourists to enjoy a swim here. 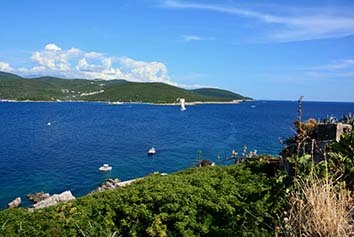 The fee usually includes visit to island of Mamula . The left branch of the road leading to Žanjica takes you on the other side of the small cape to the Mirište beach, smaller and more intimate than Žanjica.The rocky coastline continues toward the open sea with several more bathing spots, past the small island with a recently restored 12th c. orthodox monastery surrounded by defensive walls, to the Forth of Arza, at the very tip of dry land. Arza is one of the system of three forts built by the Austrians in the 1850s to guard the entry to the Bay of Kotor. The second fort is situated on the top of Rt Oštro Cape, in present day Croatia, while tried occupies almost all of small islands of Mamula, lying between the two. Arza’s massive 2 m thick walls stand almost untouched by passing of time but the interior is in a pitiful condition and is somewhat dangerous for visiting. The Fort of Mamula, beautifully isolated but still seemingly within and arm’s length, changed the look and importance of the island so radically that it gave it is name. Earlier known as Lastavica, for the last one and half centuries the island is known by name of the man who supervised the fort’s construction, Austrian general and governor of Dalmatia Lazar Mamula, one of many Serbs from Military Border in Croatia who faithfully served the Habsburg emperor. This strong fort of the low silhouette and round base never saw any major fighting but was instead used as notorious prison during the First and the Second World War. The island, still abandoned by all but the seagulls, is covered in inhospitable low bush and plenty of agave but has a small rocky beach on its north side frequented by tourist boats on their way to Plava spilja. Back on the circular road, on passes the hamlet of Zambelići, from which originates Luštica’s most famous seafarer Petar Zambelić (1849-1903),explorer of the Strait of Magellan and Tierra del Fuego in South America. On a sharp curve behind this hamlet stands orthodox church of the Radovanići village, certainly the most imposing in the whole Luštica. This 19th c. edifice is nicely set on the gentle is nicely set on a gentle slope and encircled with tall cypresses. The scene is especially picturesque from the old stone well across the field to the west of the churches. The road continues through aged olive groves to village of Mrkovi, whose church of St Petka ( to the left of the road), built in the year 1596, boasts a nice ensemble of frescoes from the period, but one can rarely find it open. After passing the Klinci village there is a crossroad where the main road continues to the right while the badly marked left one leads to Rose in a long decent.Rose (pronounced raw-seh), today not more than a small tourist village, is actually one of the oldest settlements in the Gulf of Kotor, dating back to the times of the ancient Greeks. The site was chosen for its small harbor well protected from the south winds and still within easy reach of the open sea. In Roman times a small town prospered here, surviving until 841 AD when it was burnt down in one of the Saracens’ raids that spread terror in all of south Adriatic. From then on Rose as fishing village, gaining again some importance from the 18th century onwards when it was an obligatory station for all ships sailing into Boka Kotorska to be left here for quarantine. In recent times its relative isolation, interrupted only by visitors’ boats arriving from Herceg Novi attracted relaxed and bohemian residents. Rose’s charming harbor at the foot of steep hillside has a couple of restaurants. The circular road continues a bit further up, reaches its highest point and starts its lengthy descent offering grand panoramas of the Gulf on its left. It reaches the coastline in Krašići village that has grown into large and well-visited tourist spot with several smaller beaches. Before reaching our starting point and the fork to Radovići, the road passes Bjelila, two scenic groups of old houses jutting into the sea.